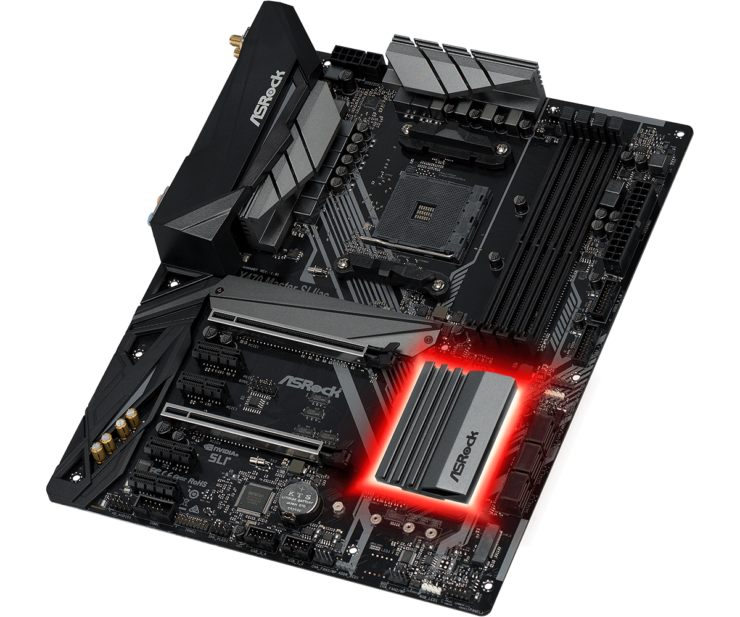 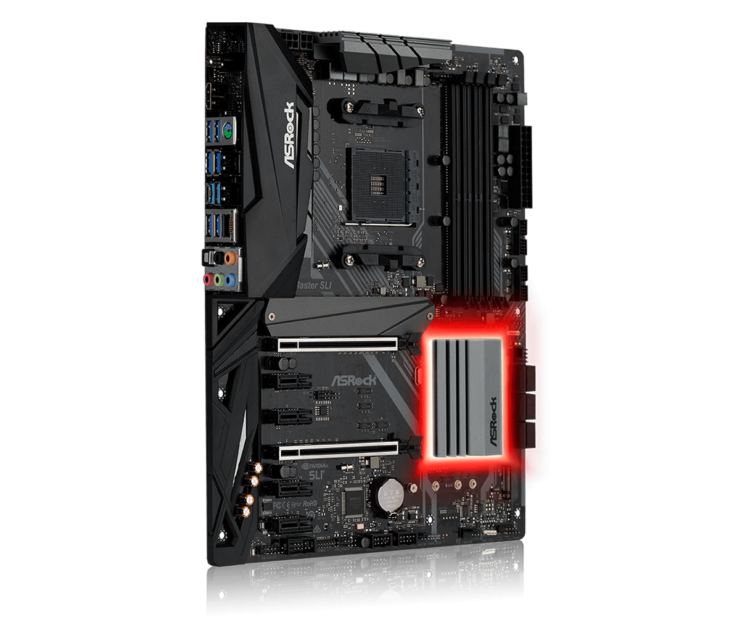 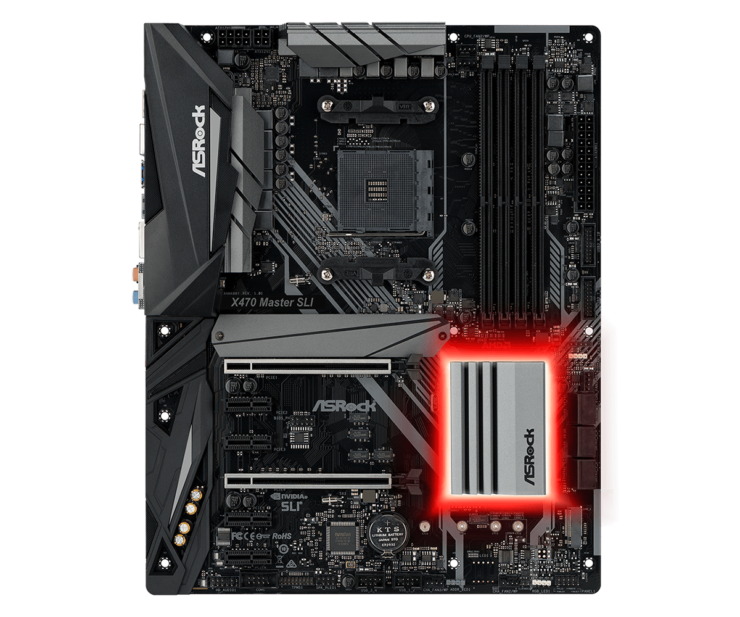 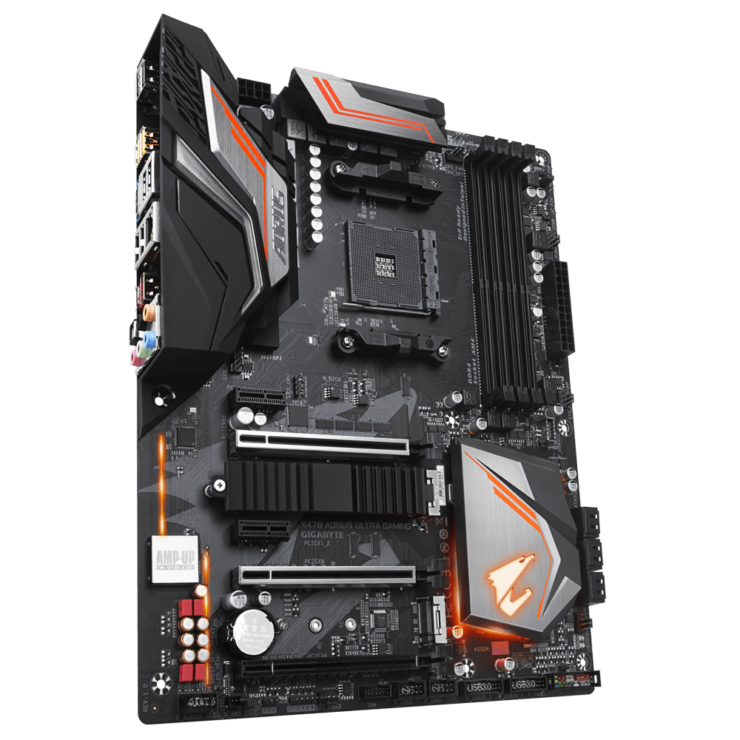 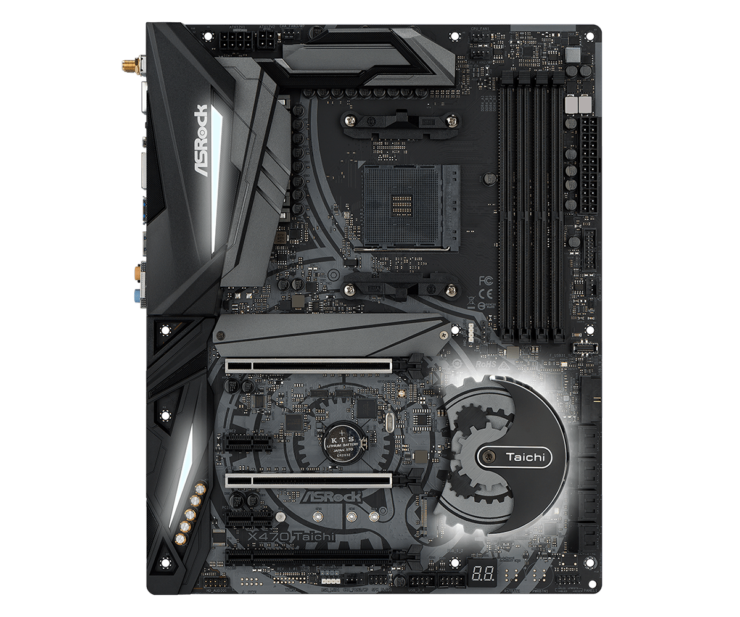 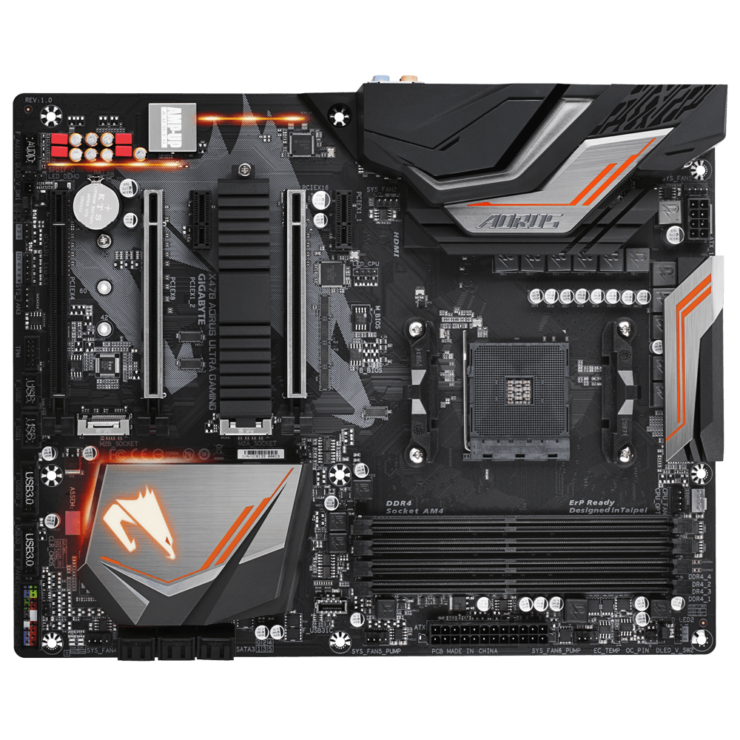 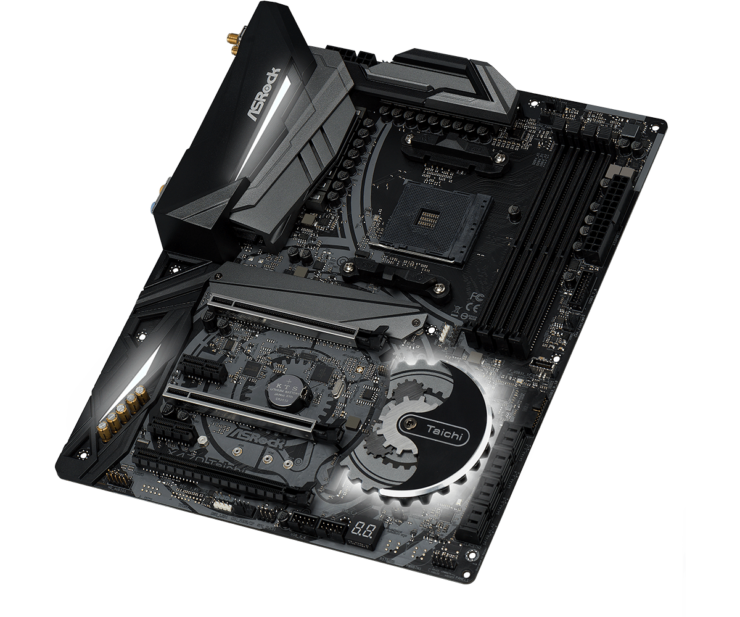 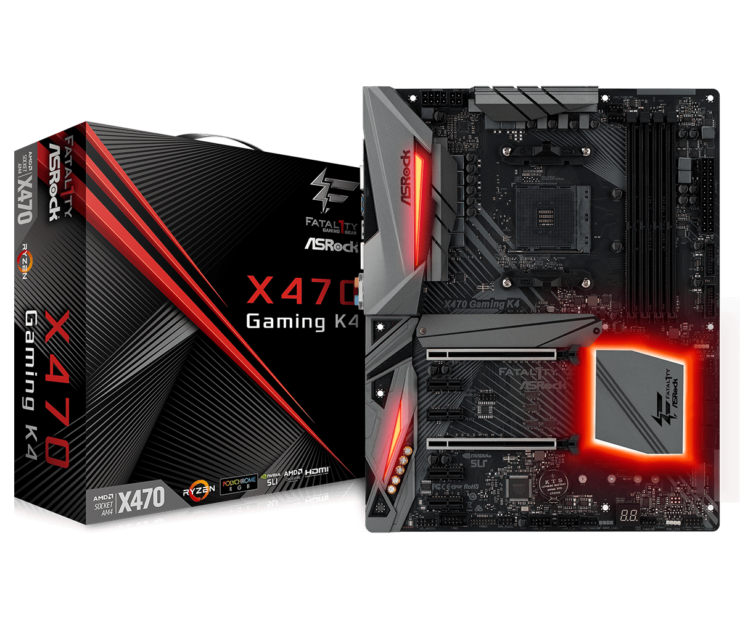 \AMD X470 motherboards are finally up for pre-order so here, we will be rounding up all the latest 400 chipset based motherboards for the upcoming Pinnacle Ridge processors. 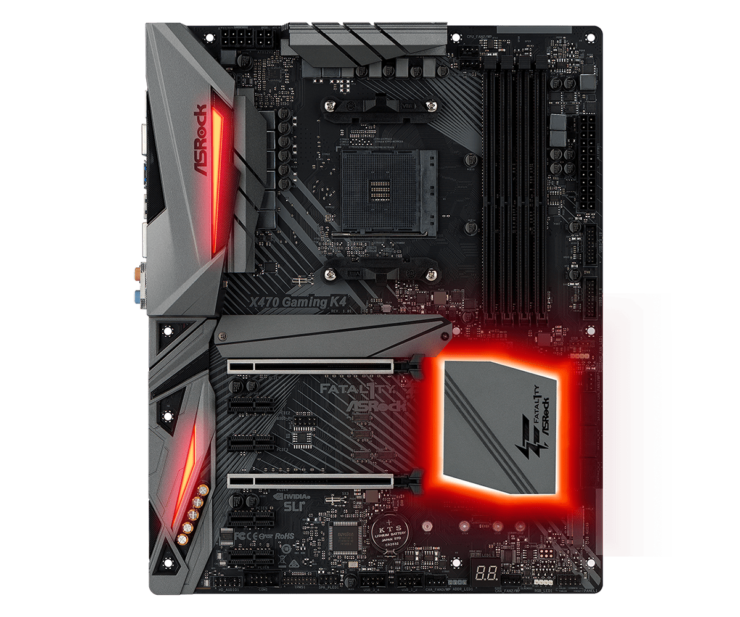 The AMD X470 PCH will feature updated support and features for the AMD Ryzen 2000 series processors that launch in next week. 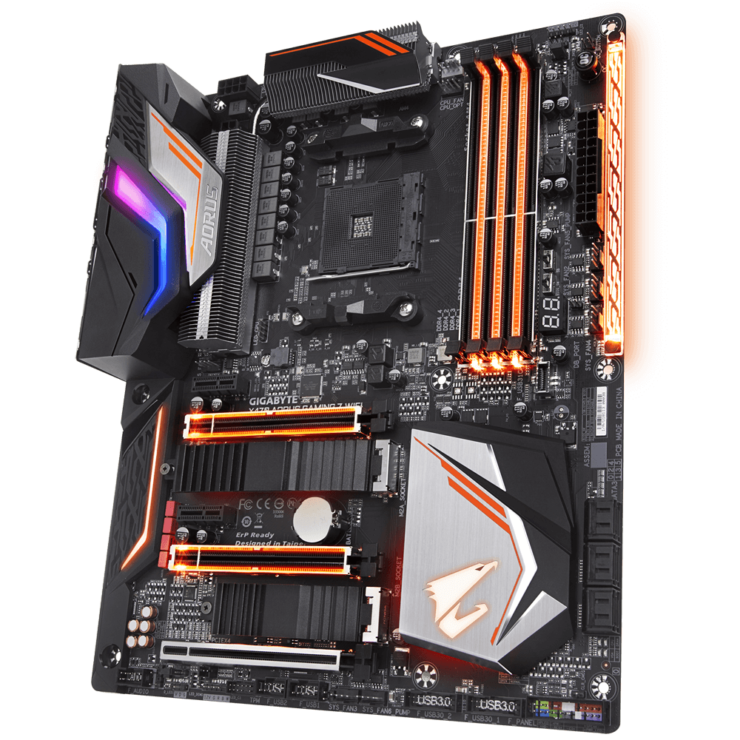 The motherboards that are launching next week house several key technologies that would offer the best experience on Ryzen 2000 processors. 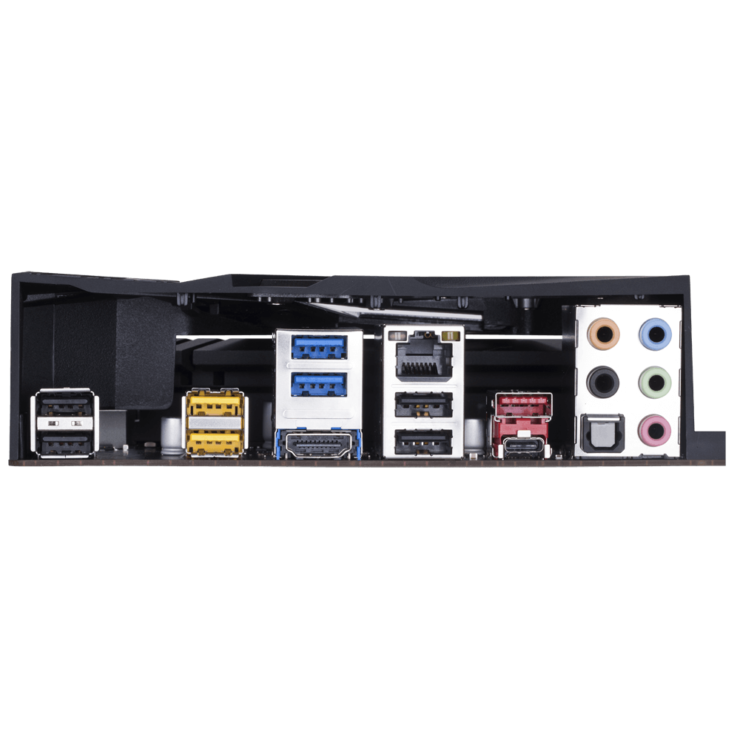 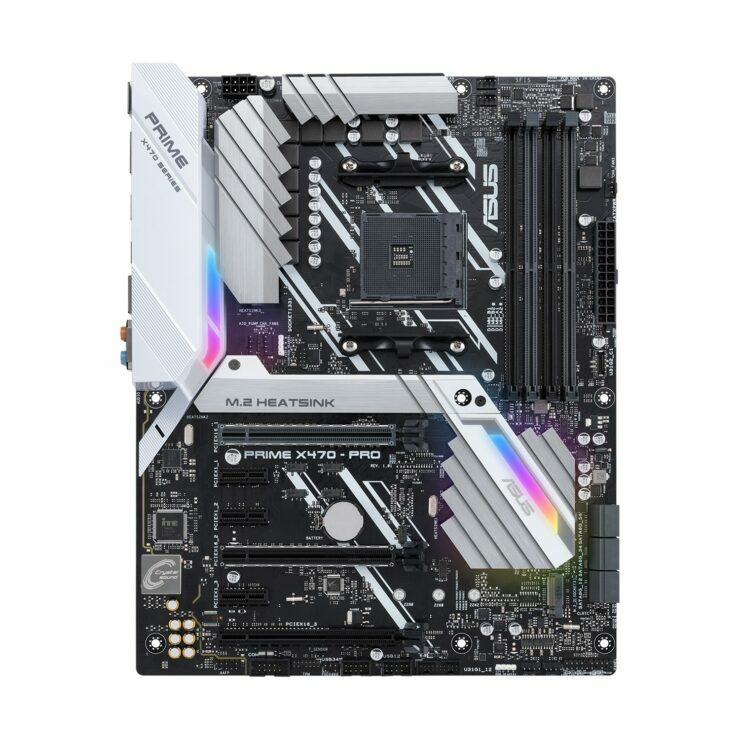 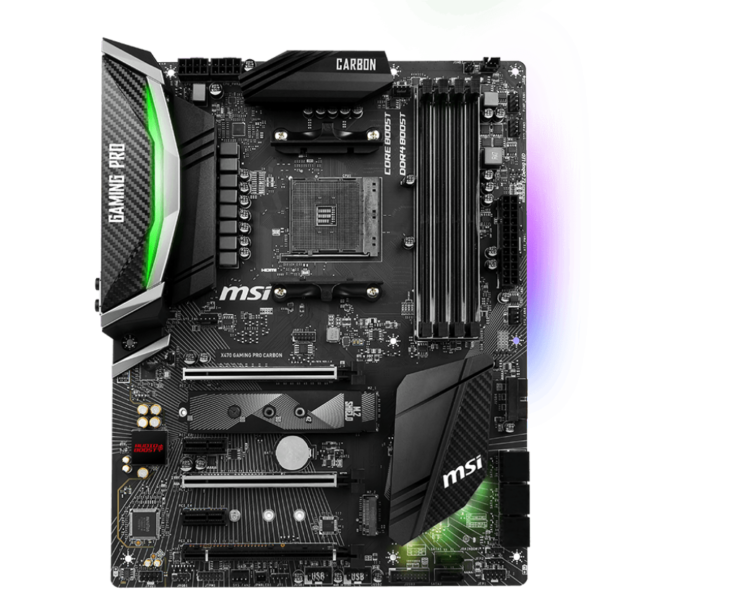 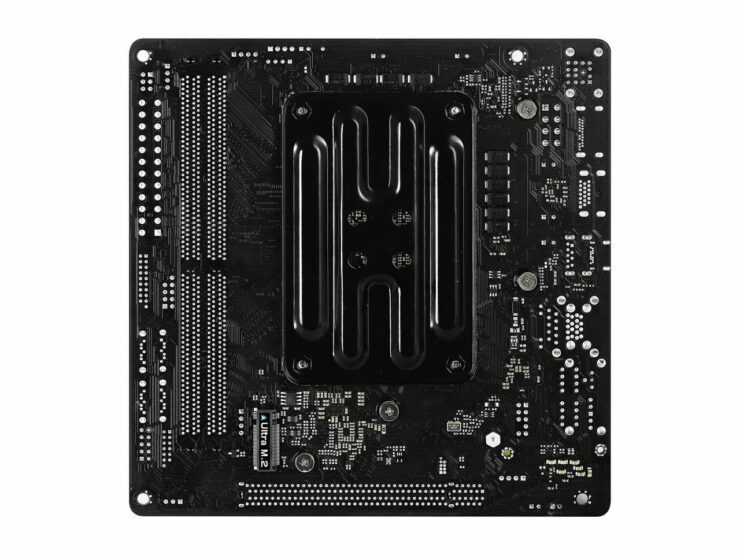 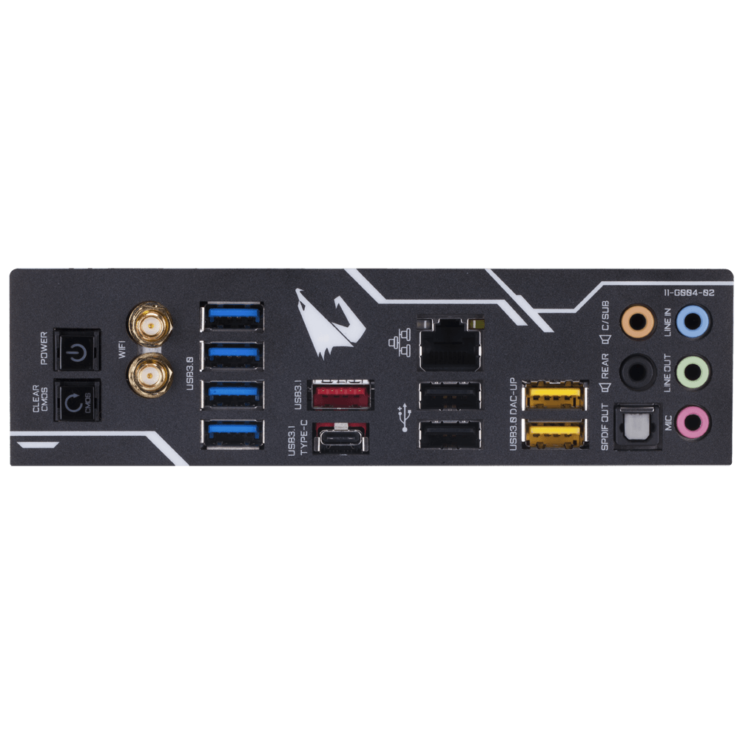 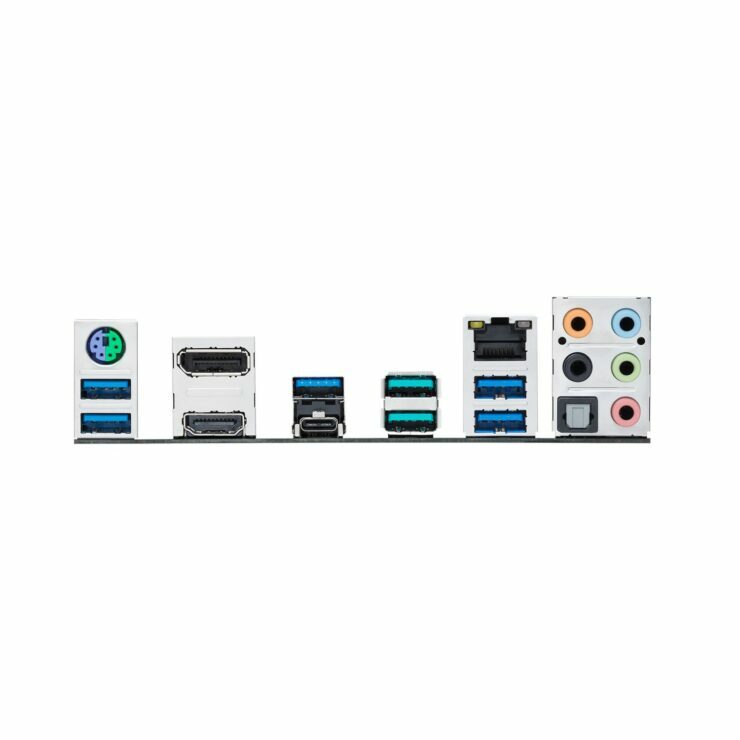 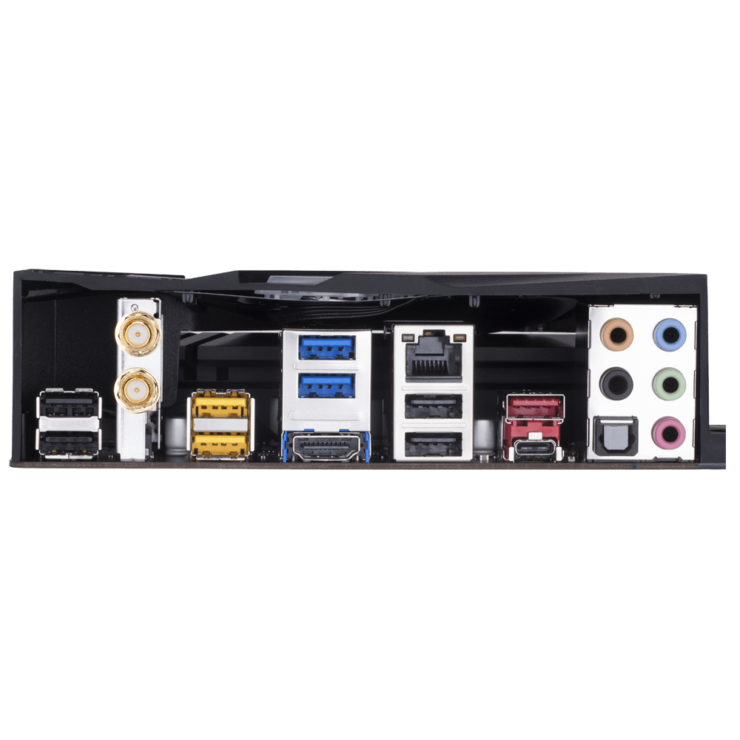 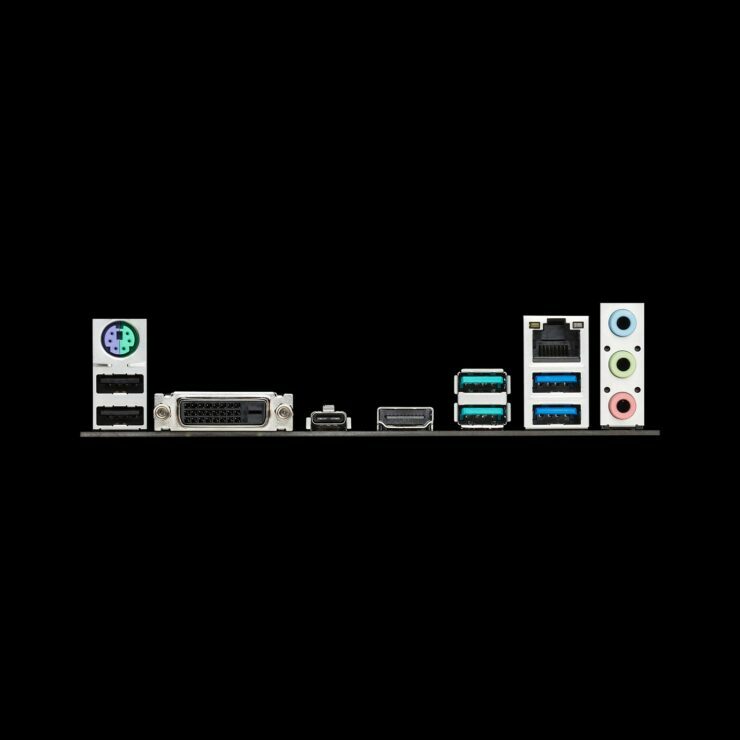 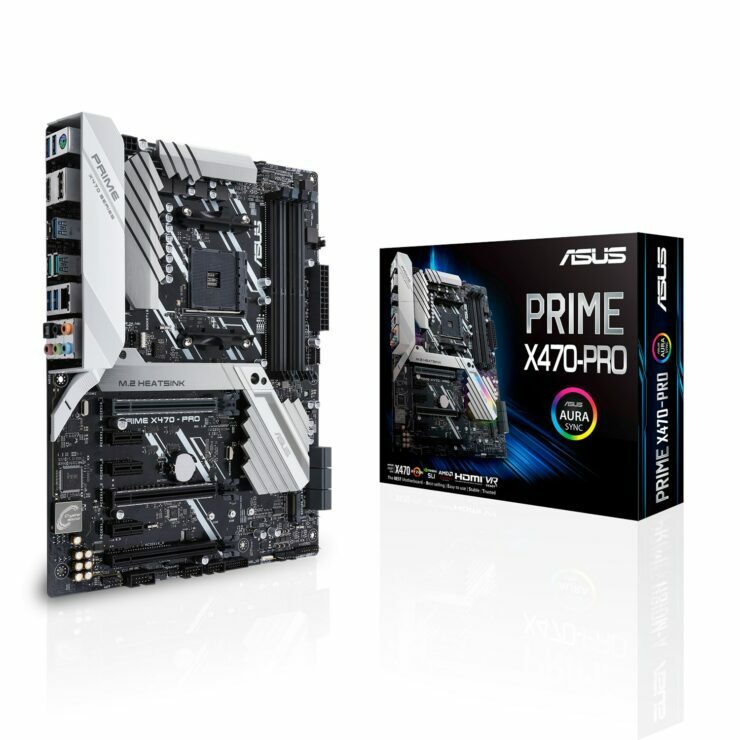 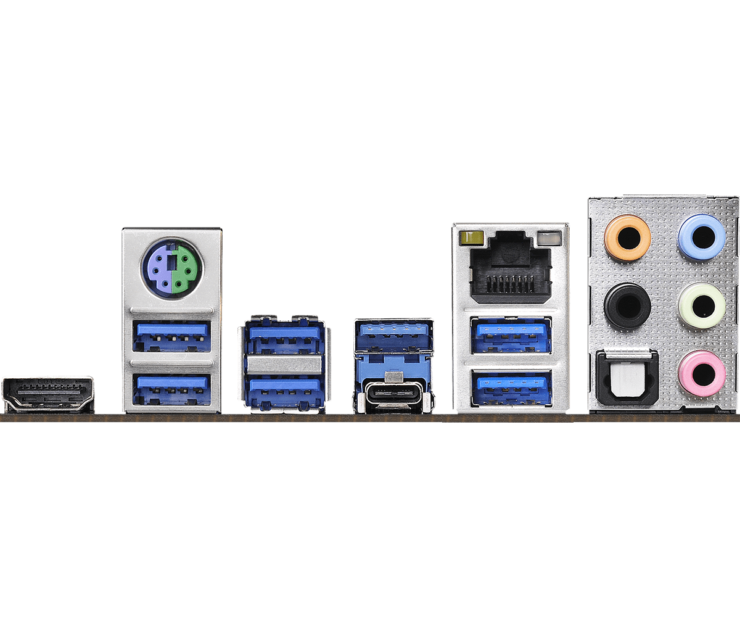 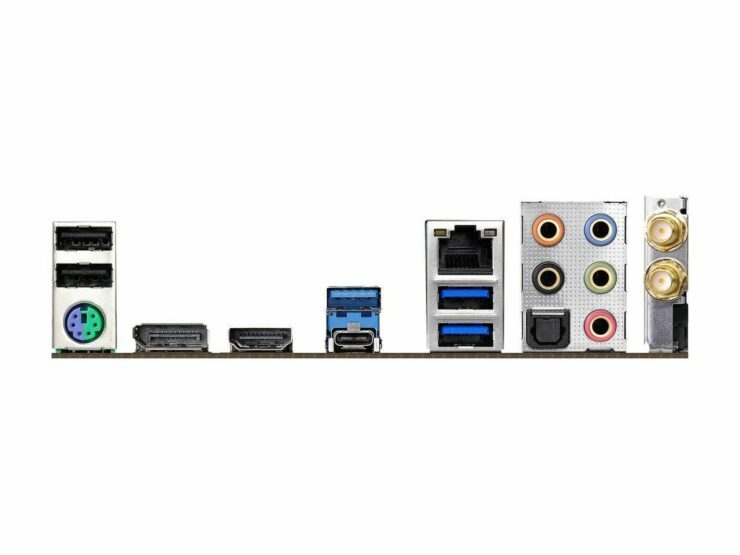 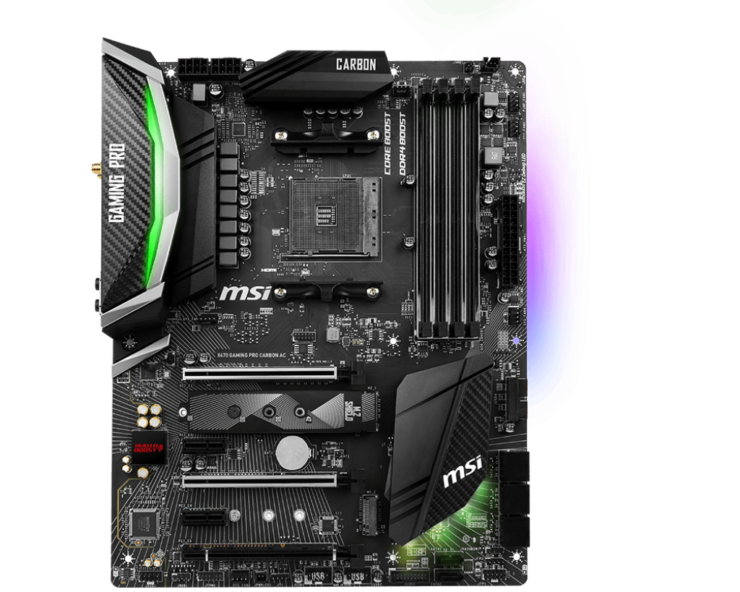 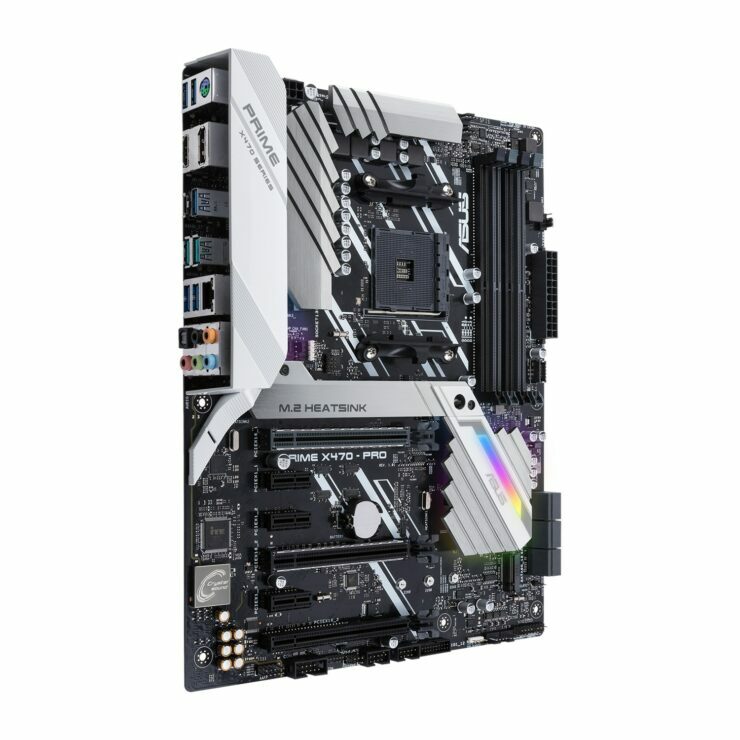 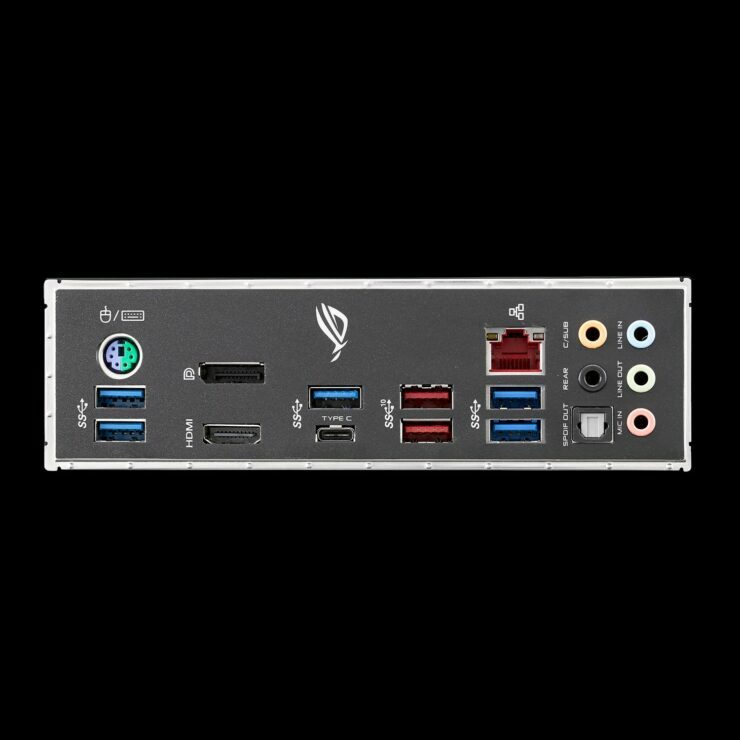 These features include advanced power deliveries for memory and processor, support for faster memory, support for Precision Boost overdrive and XFR2 along with a range of other features that expand overall I/O capabilities of the motherboards. 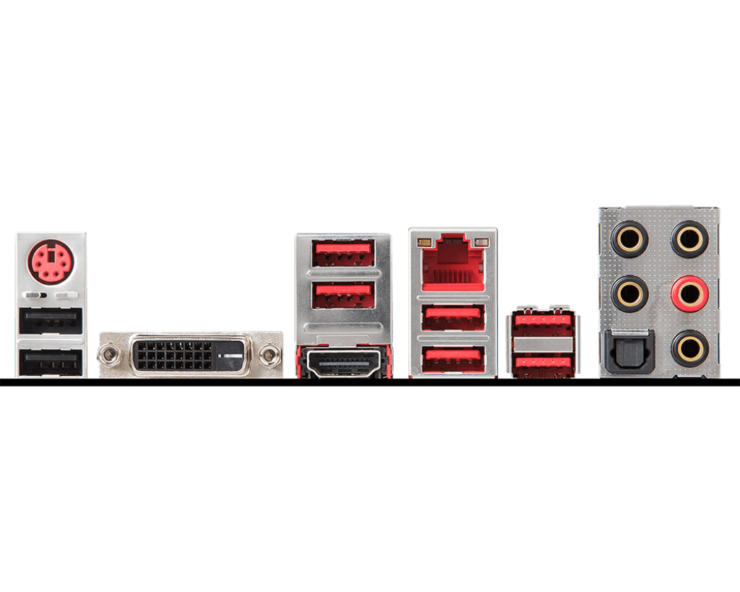 AMD has mentioned two full x16 (Gen3) lanes for GPUs. 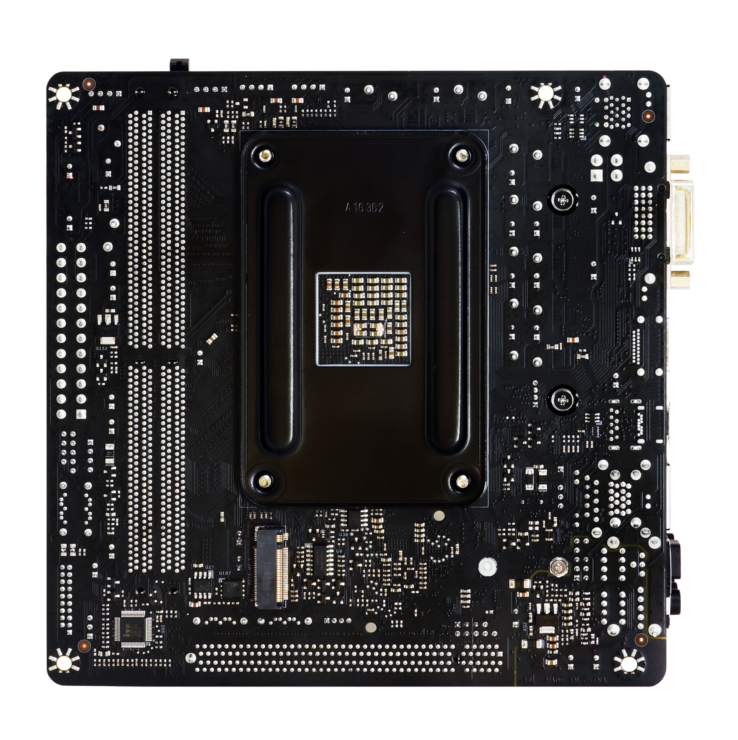 AIBs can add additional lanes through a PLX chip but that would add to the cost. 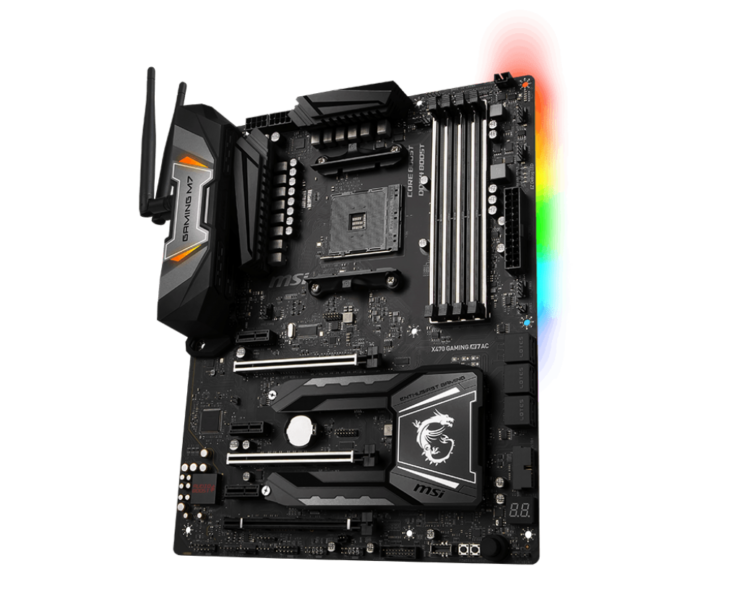 X470 features full overclocking support with a very sophisticated GUI that will allow the best overclock tools and experiences. 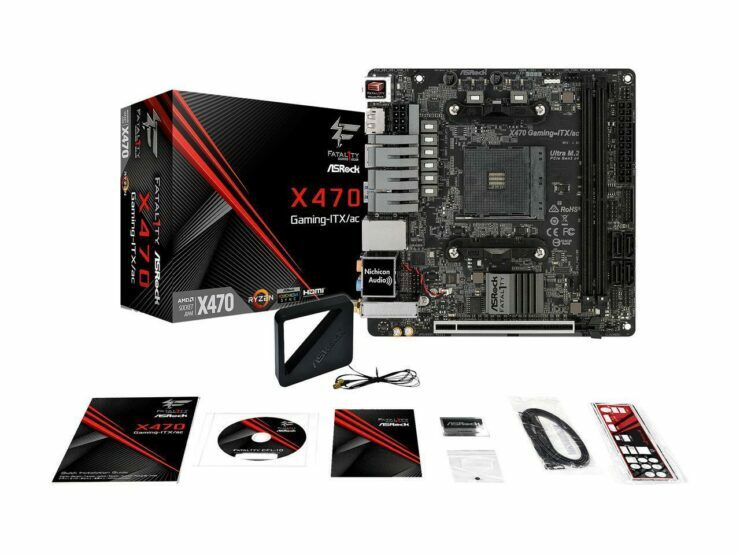 Since all AM4 CPUs have an unlocked multiplier, record breakers will definitely put X470 boards to the test on liquid and LN2 setups. 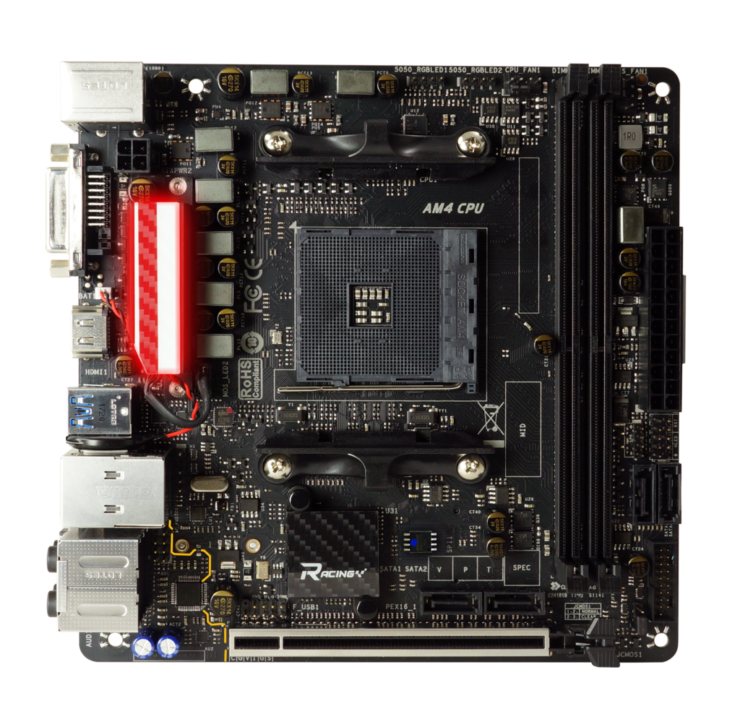 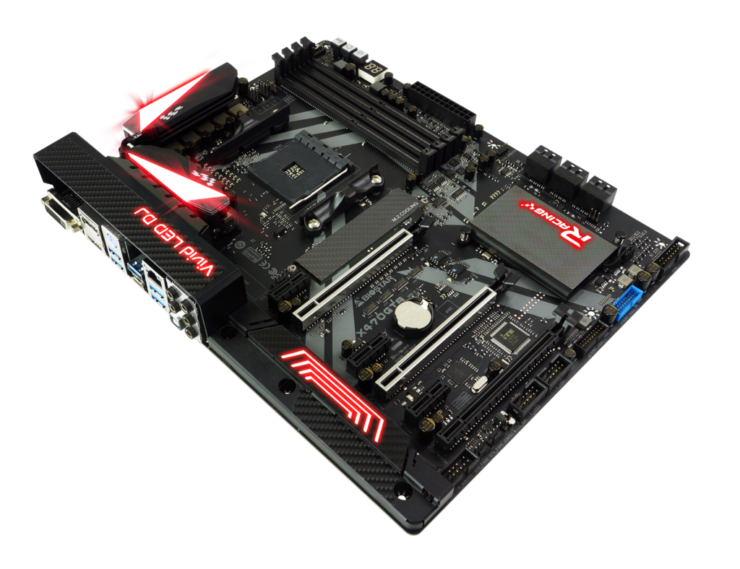 The motherboards are also compliant with the new AMD XFR 2.0 Enhanced and PBO (Precision Boost Overdrive) features which scale boost clocks in a more refined manner when compared with 1st gen chips. 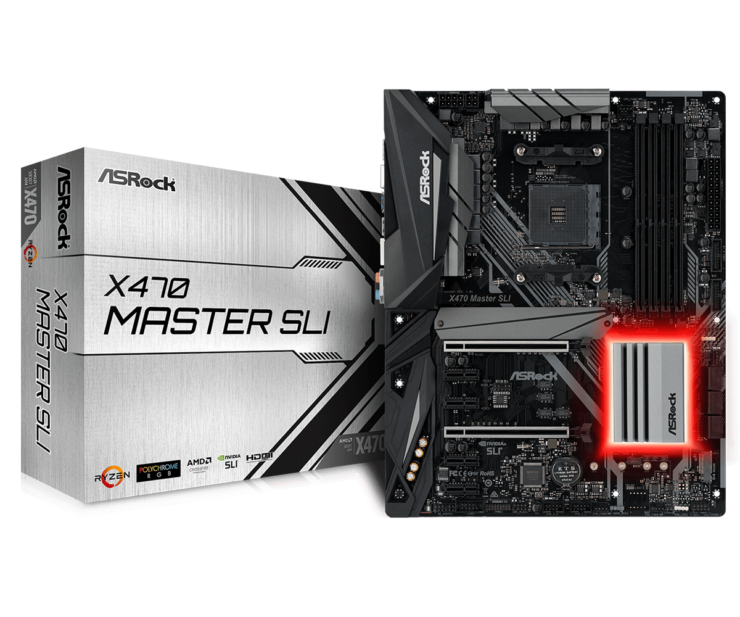 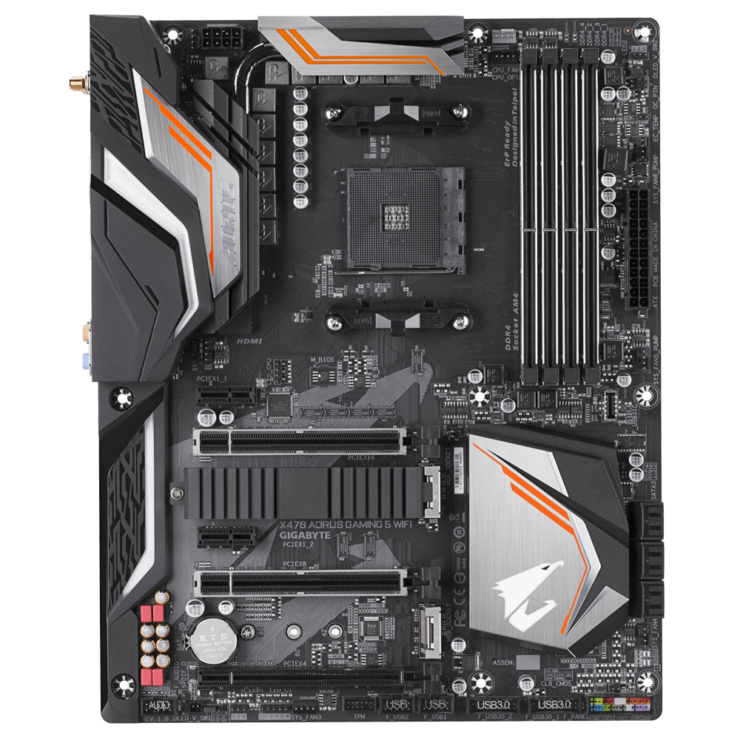 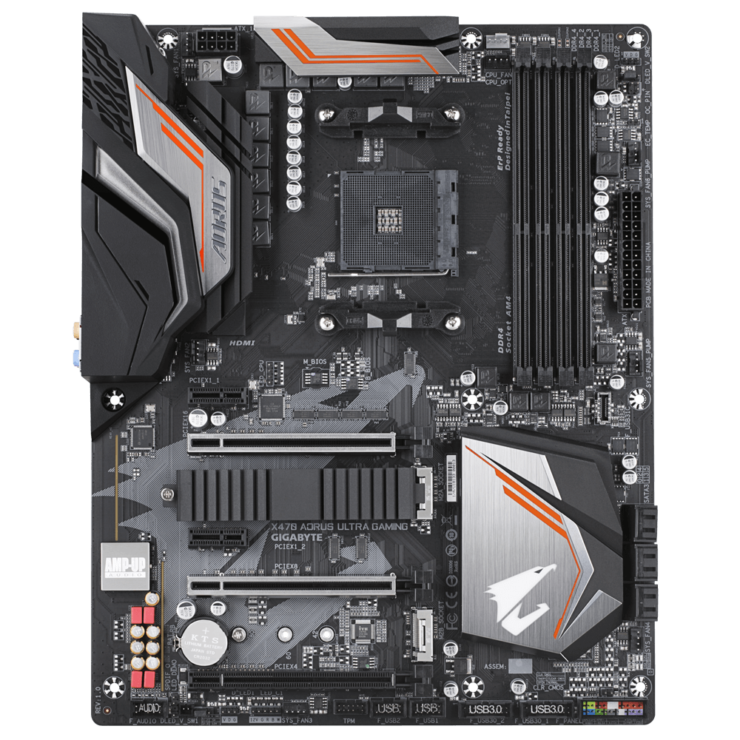 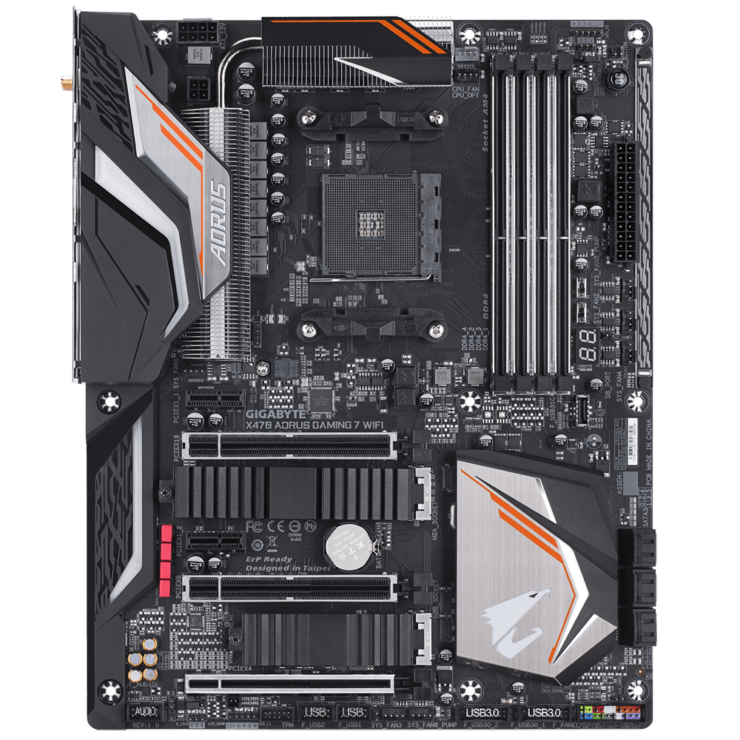 Today, we will be taking a look at several X470 motherboards from ASRock, ASUS, AORUS, MSI and Biostar which are due for launch on 18th April 2018. 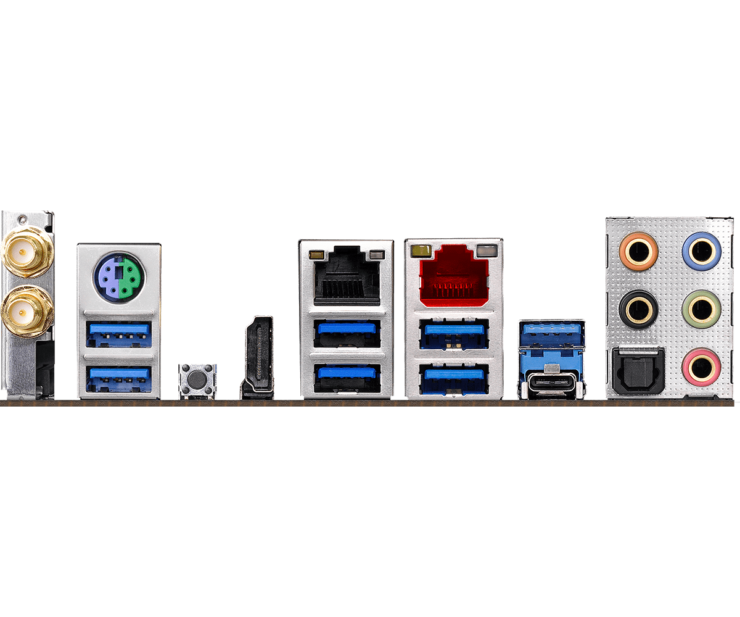 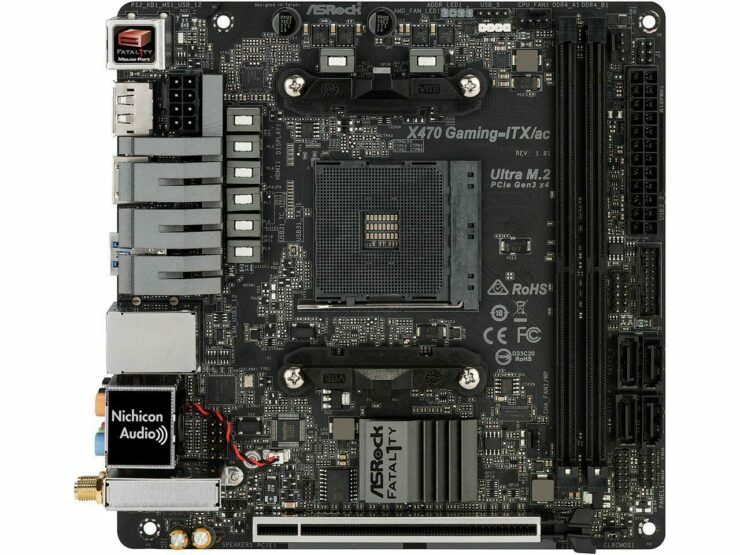 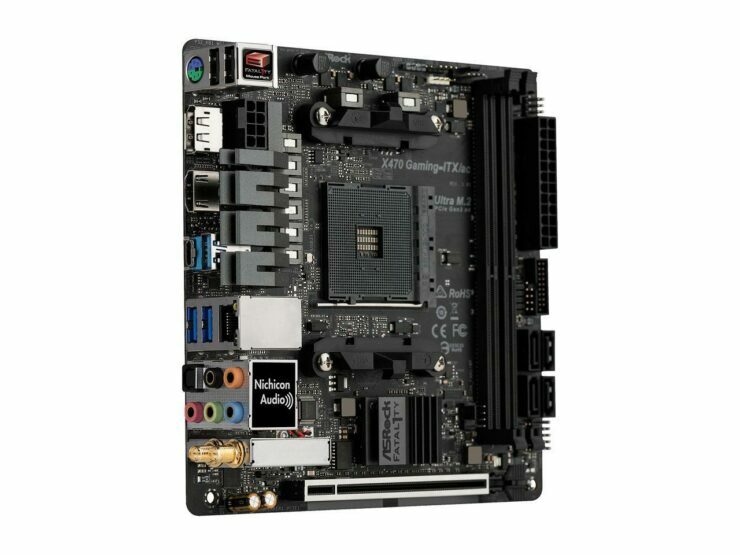 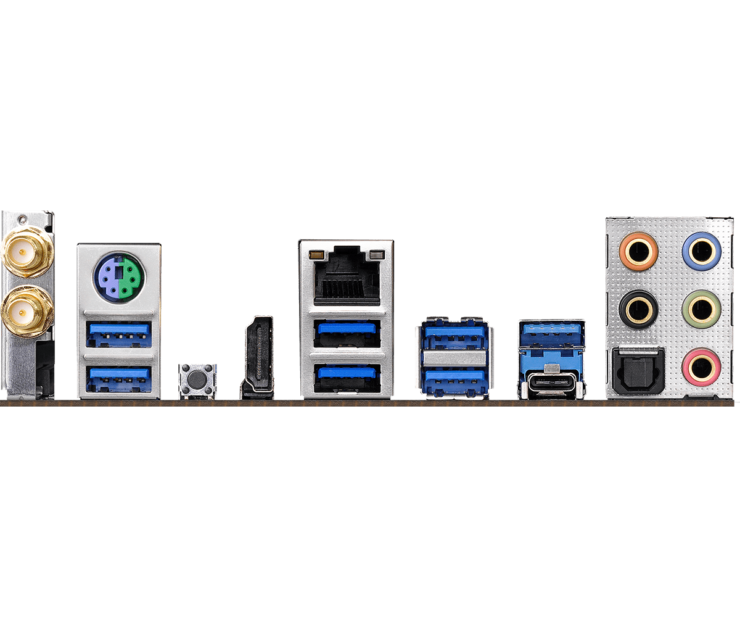 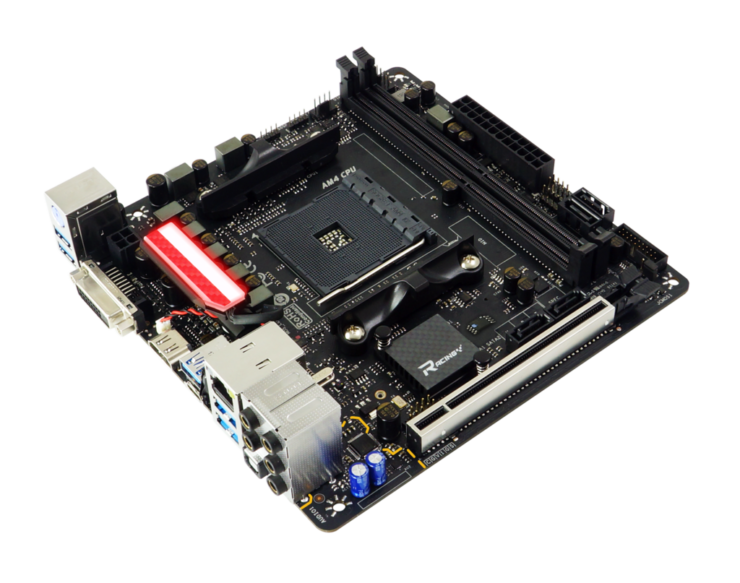 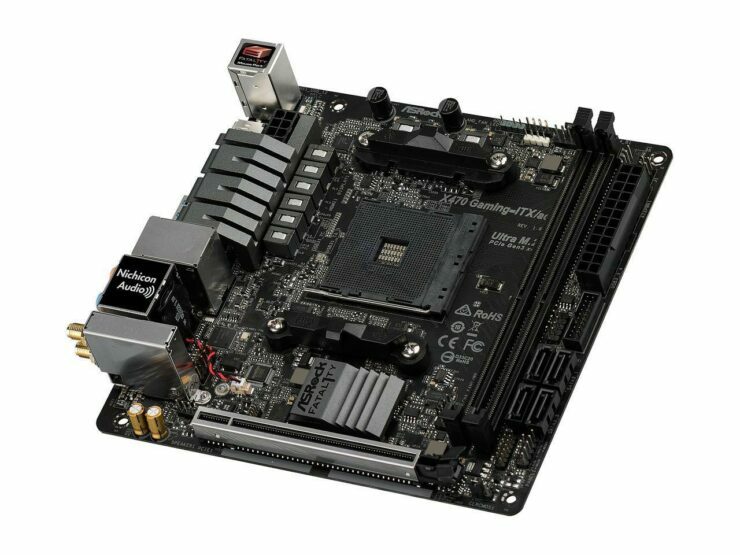 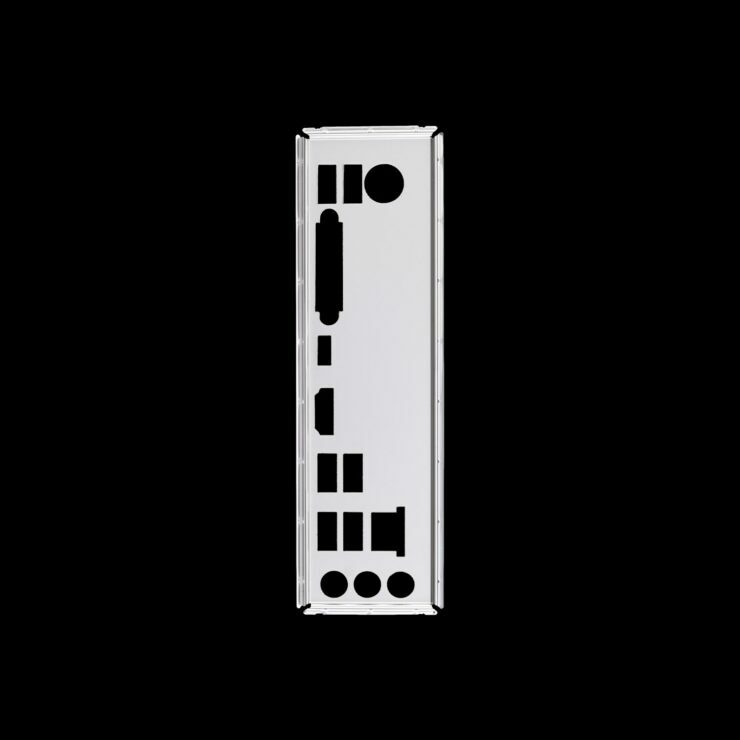 These motherboards are listed below along with full specifications. 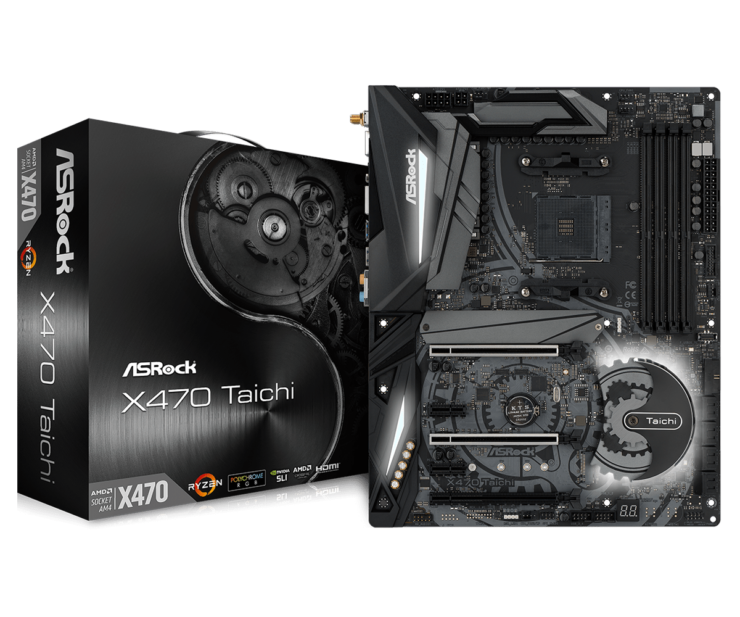 Starting off with ASRock who are offering what seems a really great range of motherboards under their Taichi and FATAL1TY brands. 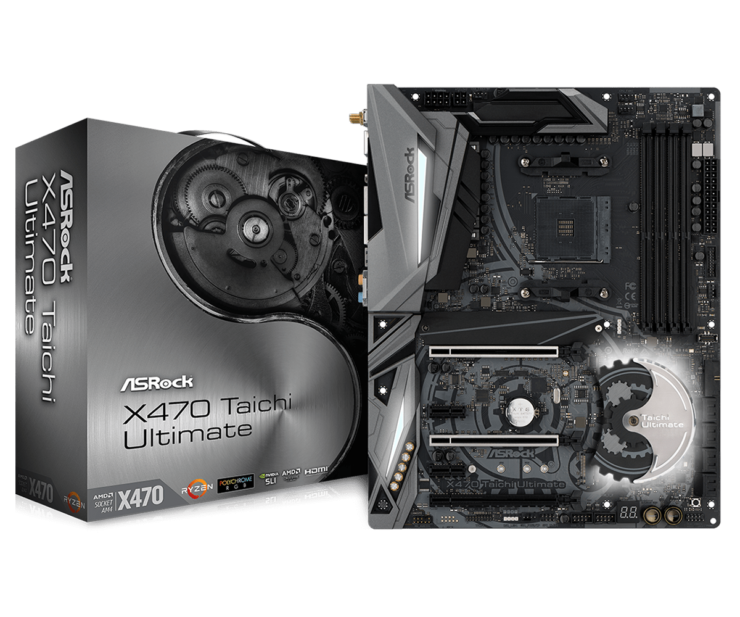 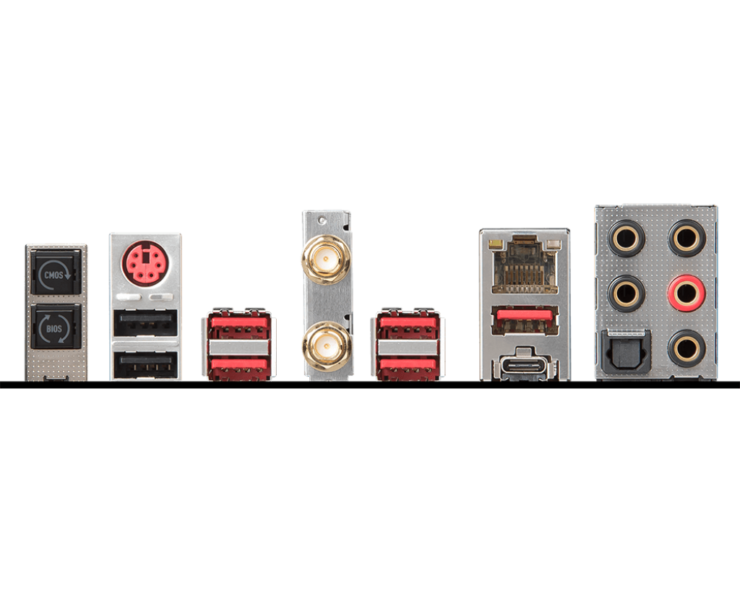 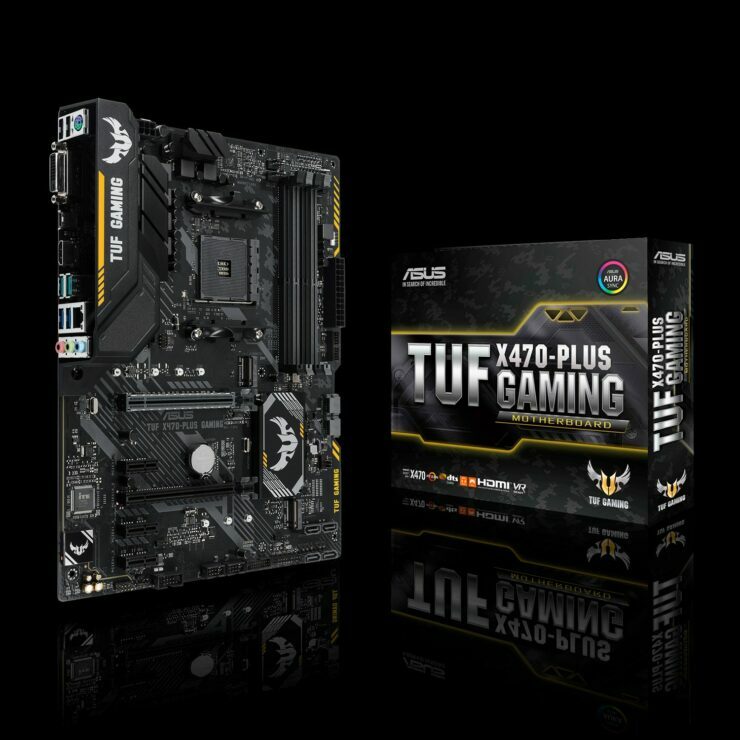 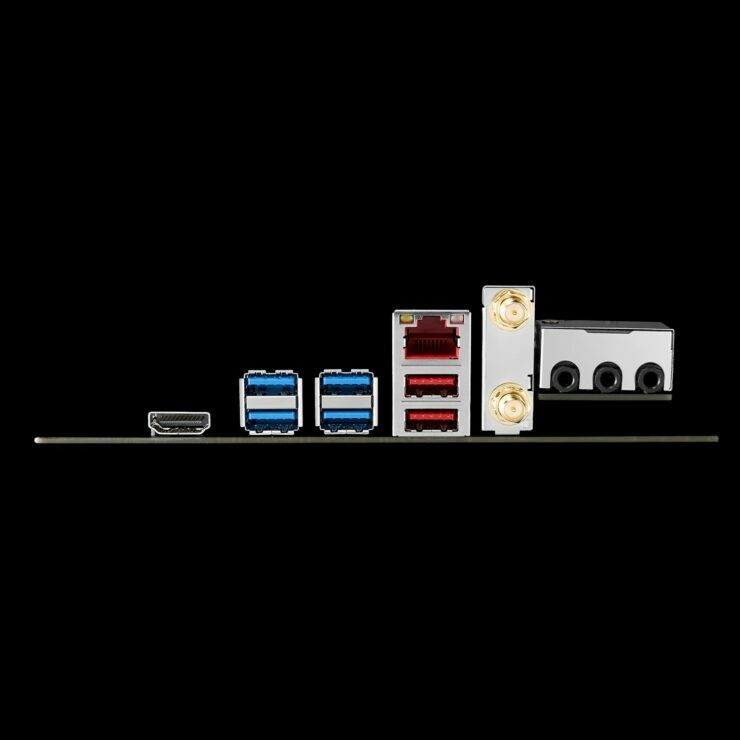 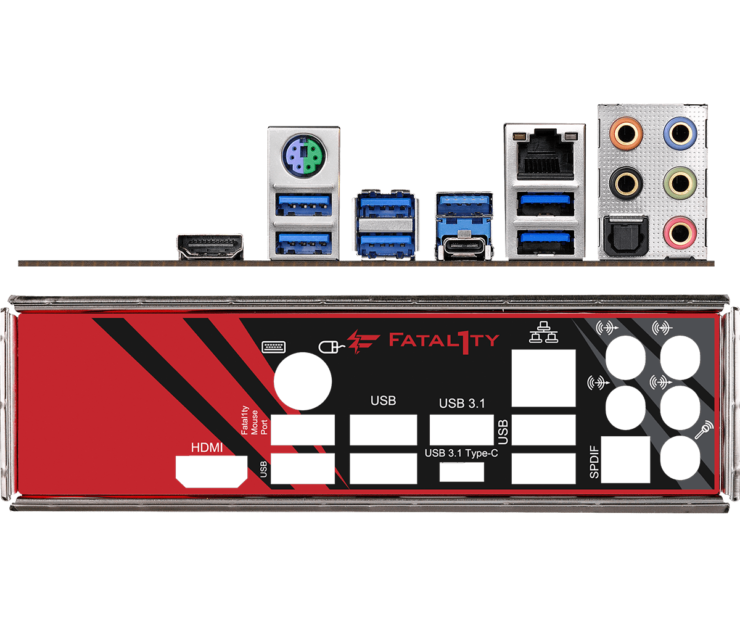 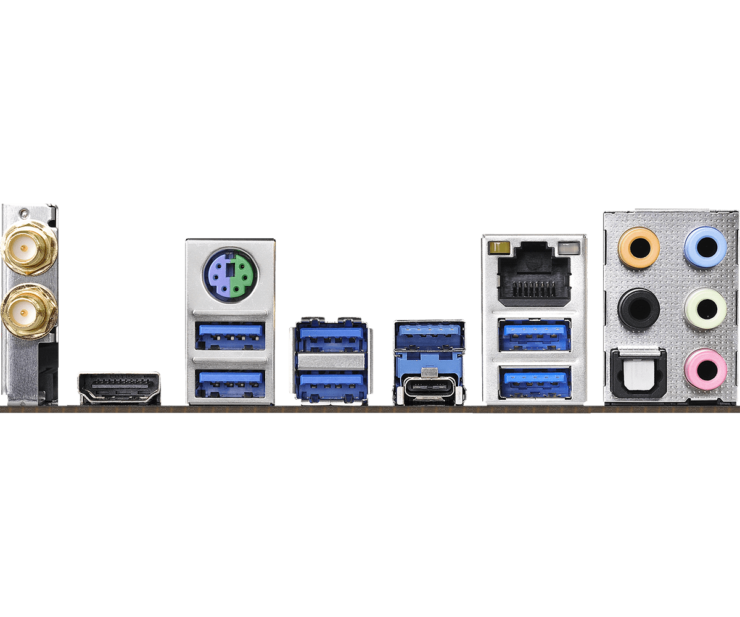 Their lineup includes a total of six motherboards which include the likes of the flagship ASRock X470 Taichi Ultimate, X470 Taichi, X470 Master SLI/ac, X470 Master SLI and the FATAL1TY X470 Gaming K4. 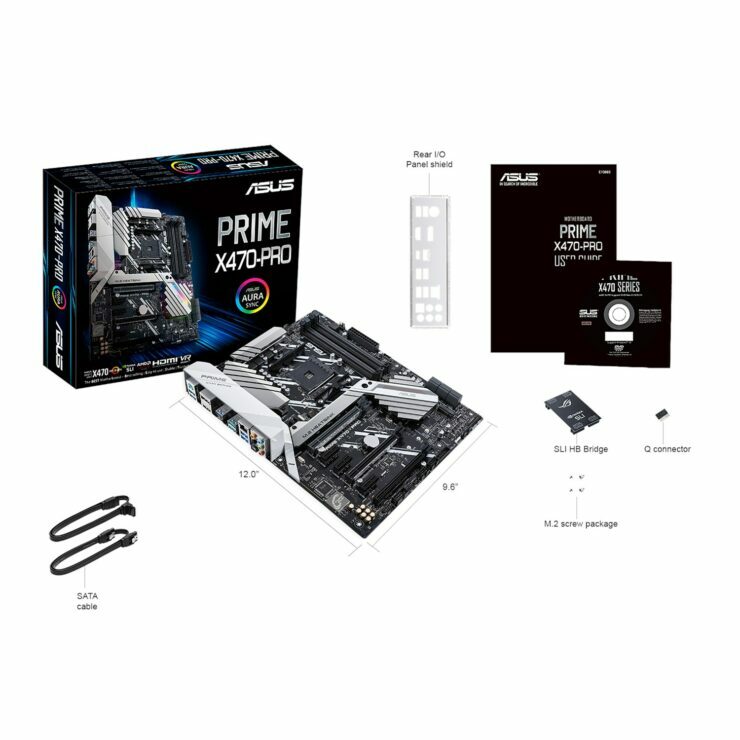 You can see the motherboards in the list below along with prices. 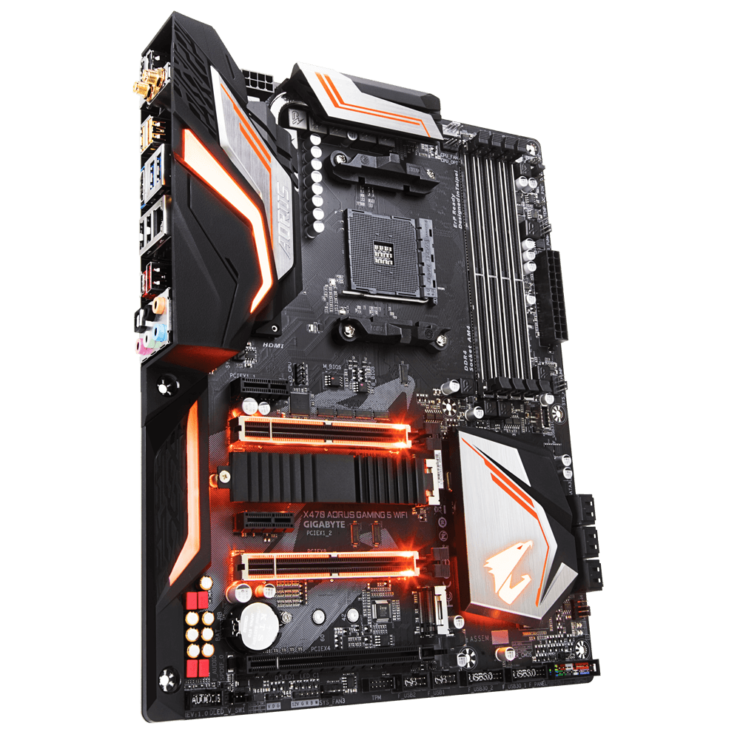 ASUS is one of the top motherboard makers and they are also preparing six motherboards for the Ryzen 2000 CPU launch. 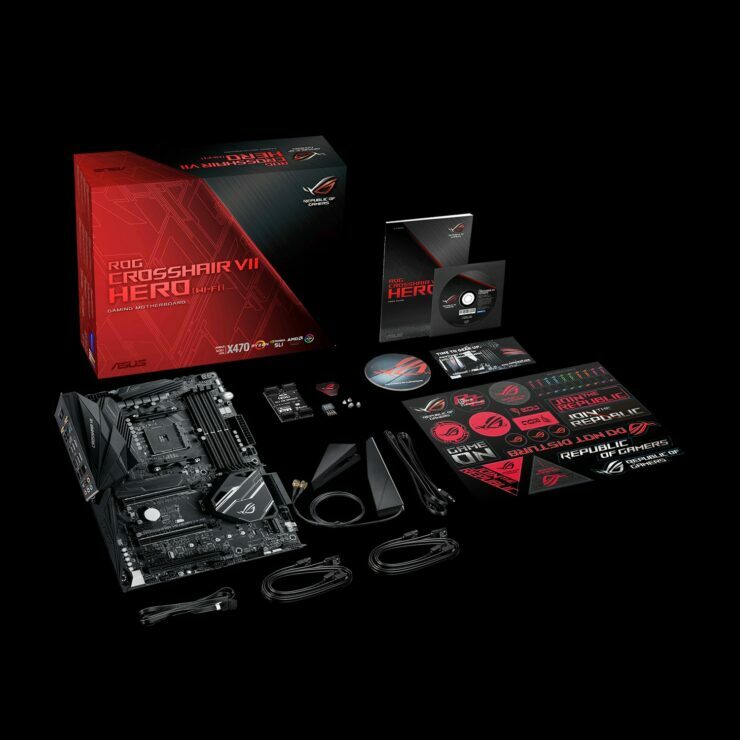 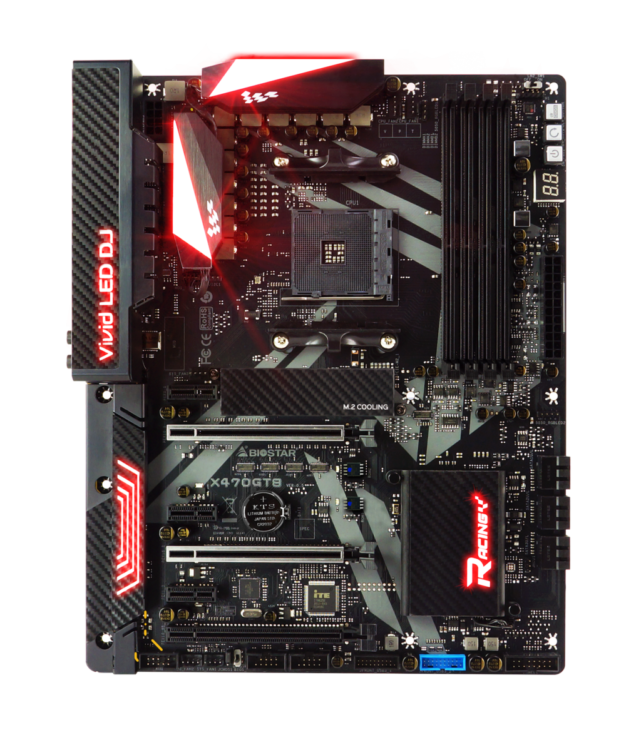 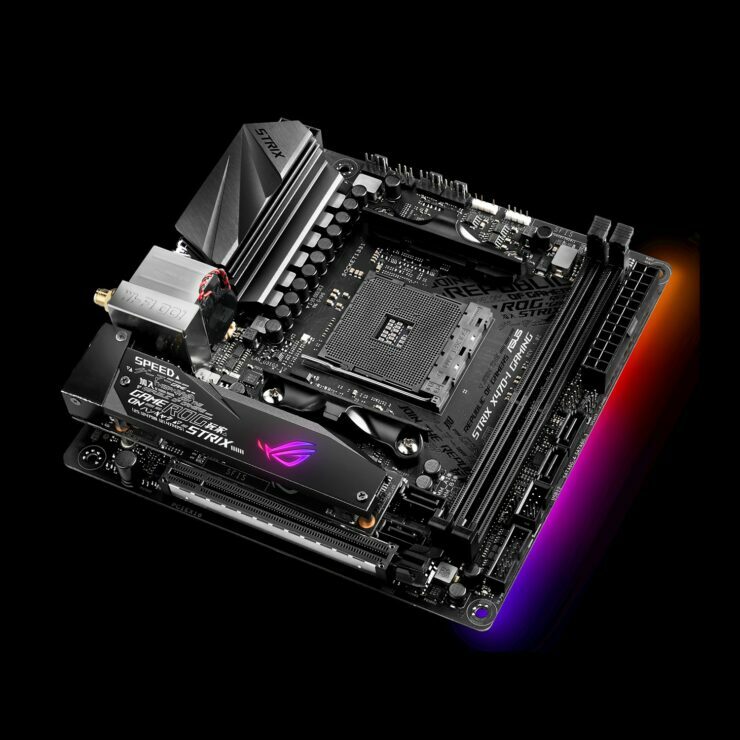 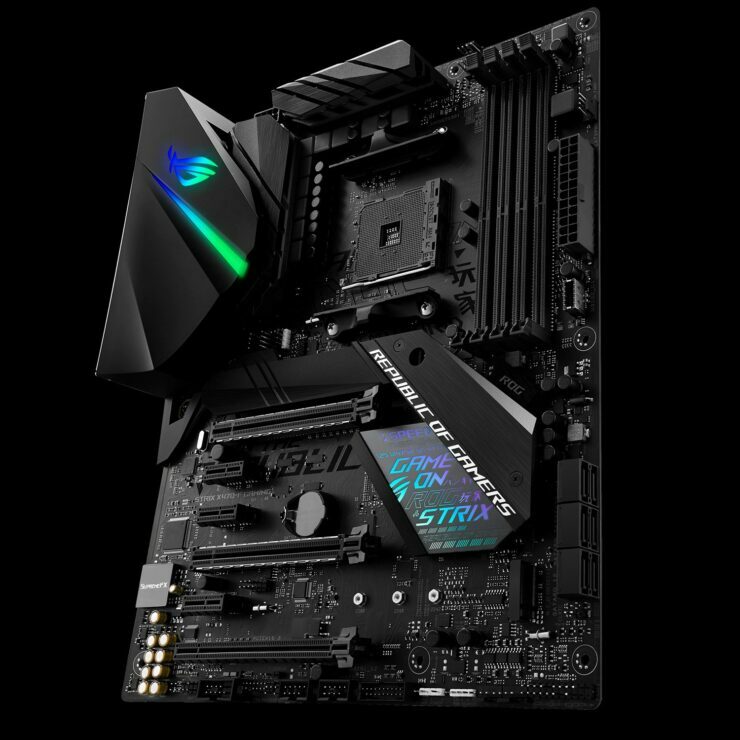 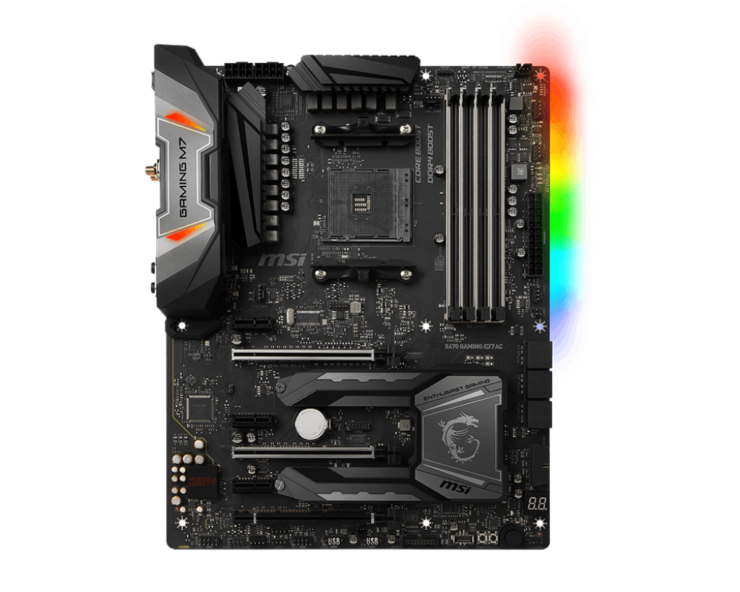 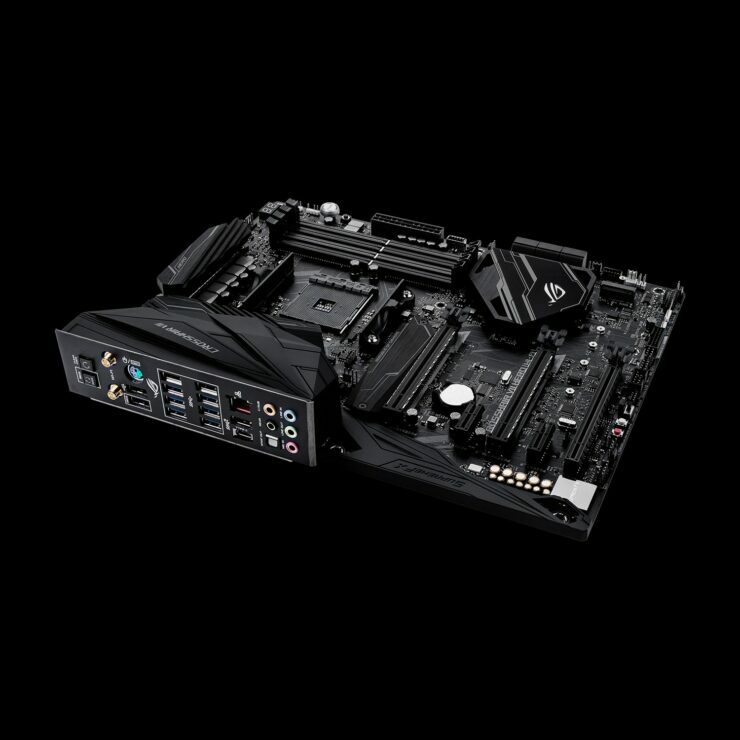 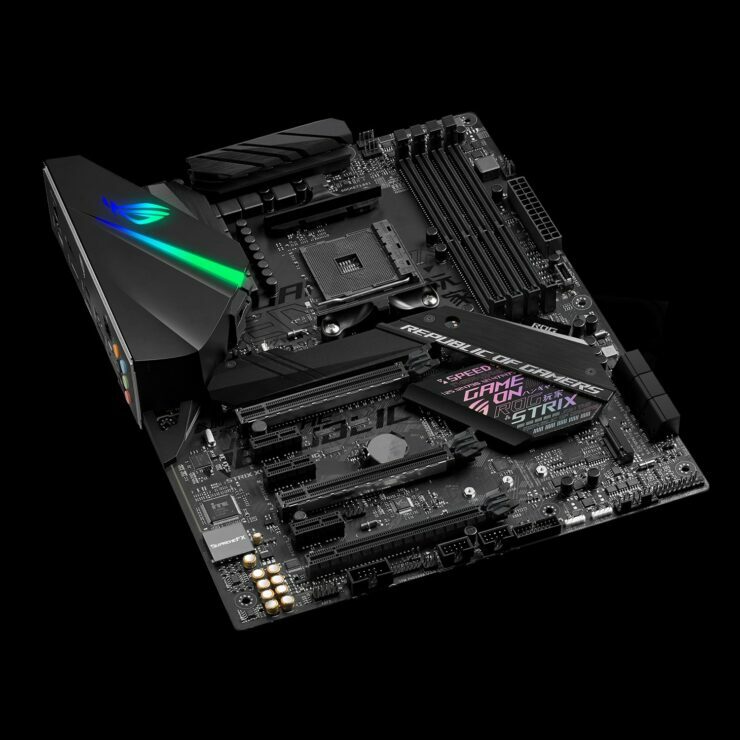 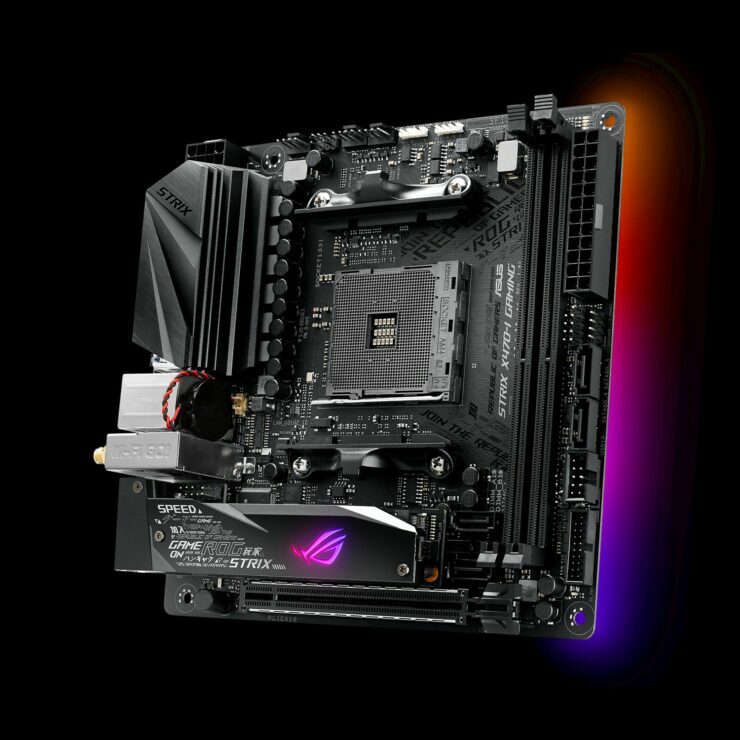 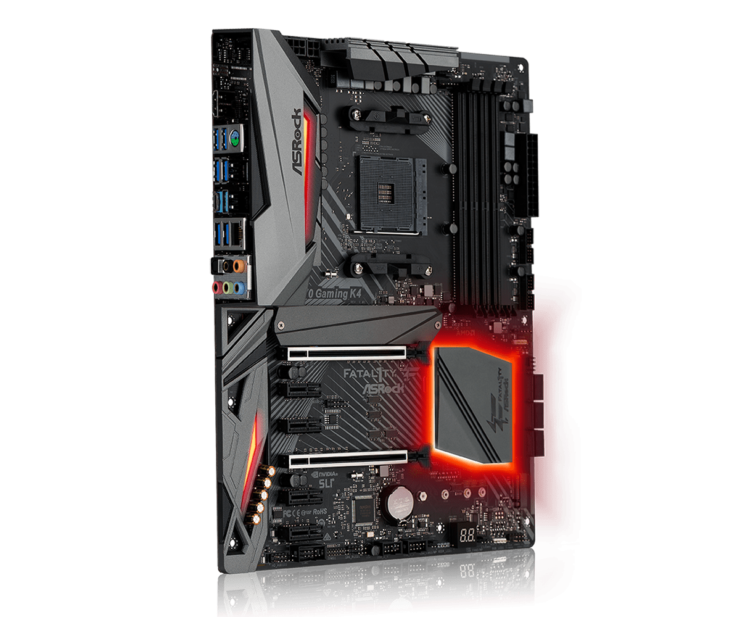 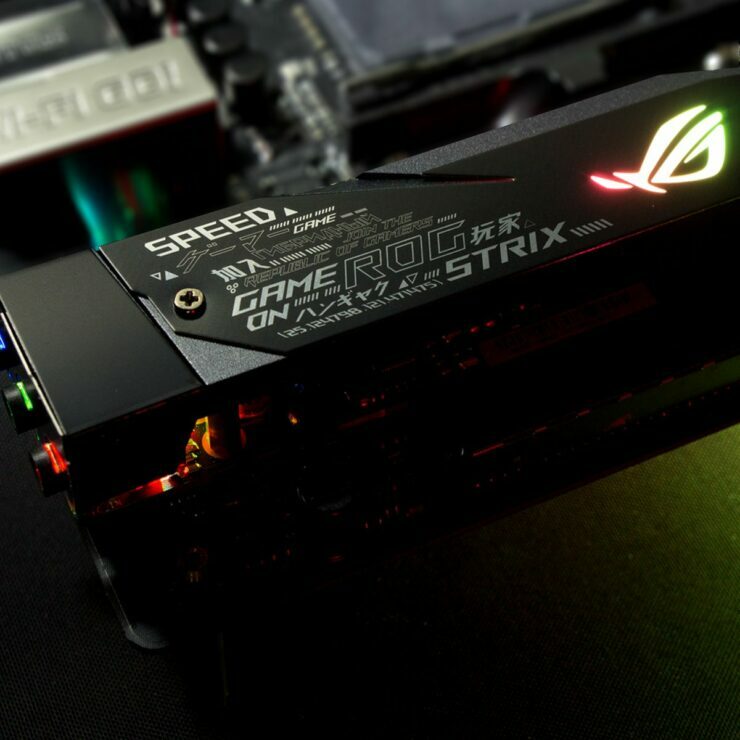 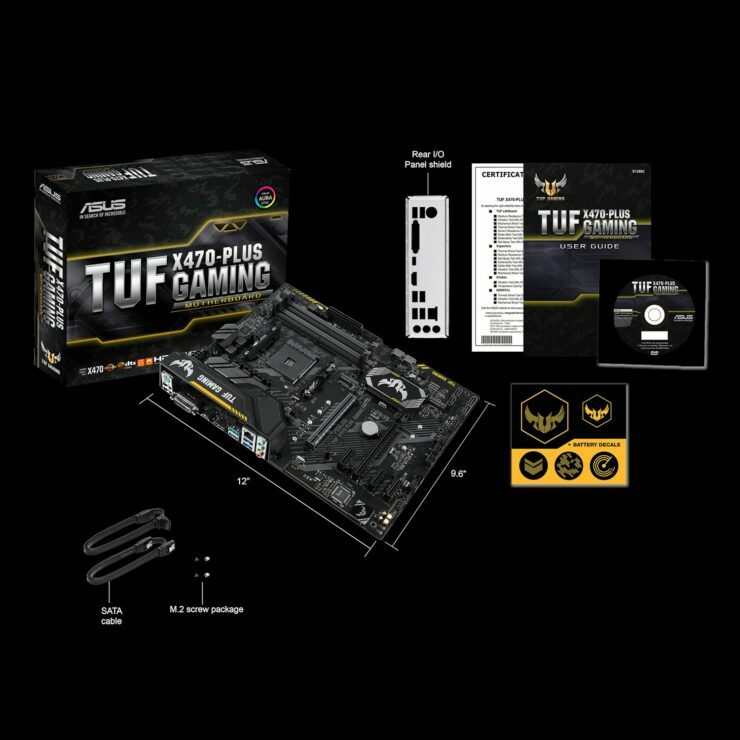 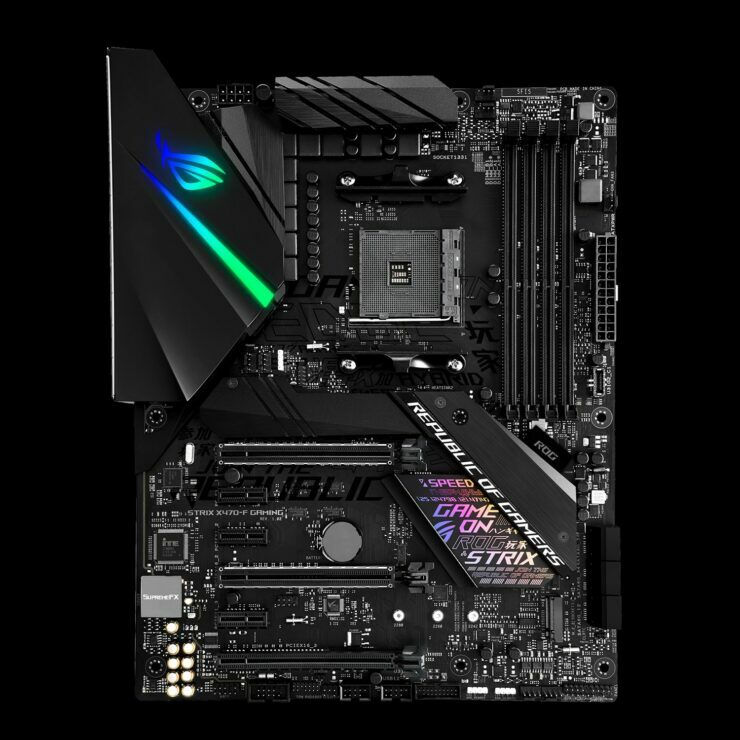 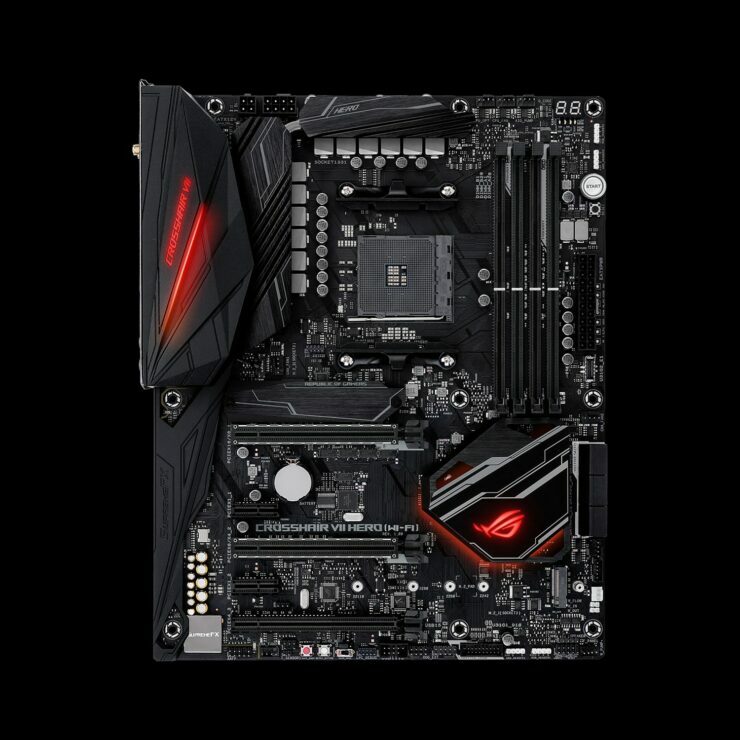 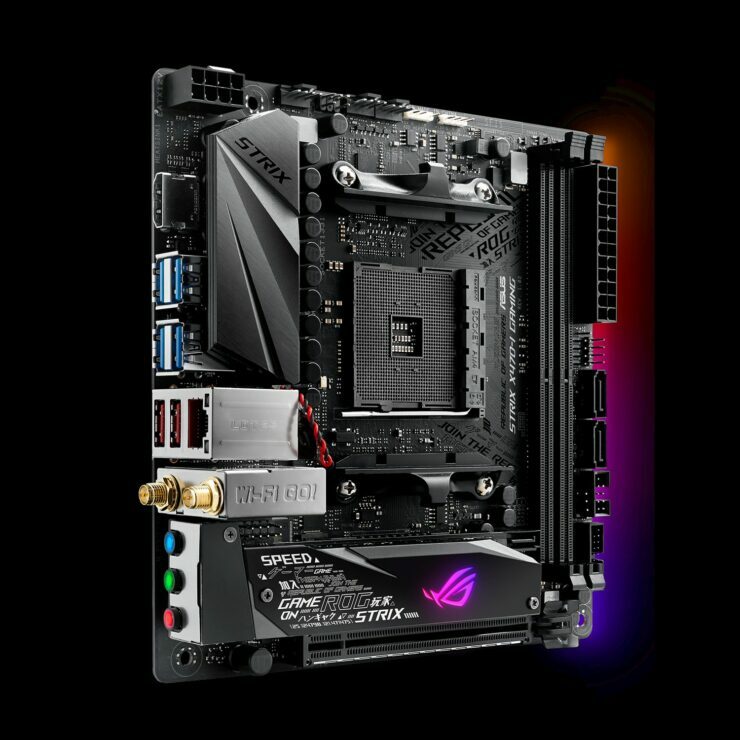 Their new X470 motherboards fall within the PRIME, ROG, ROG STRIX and TUF families which at this point are very well known among gamers and enthusiasts. 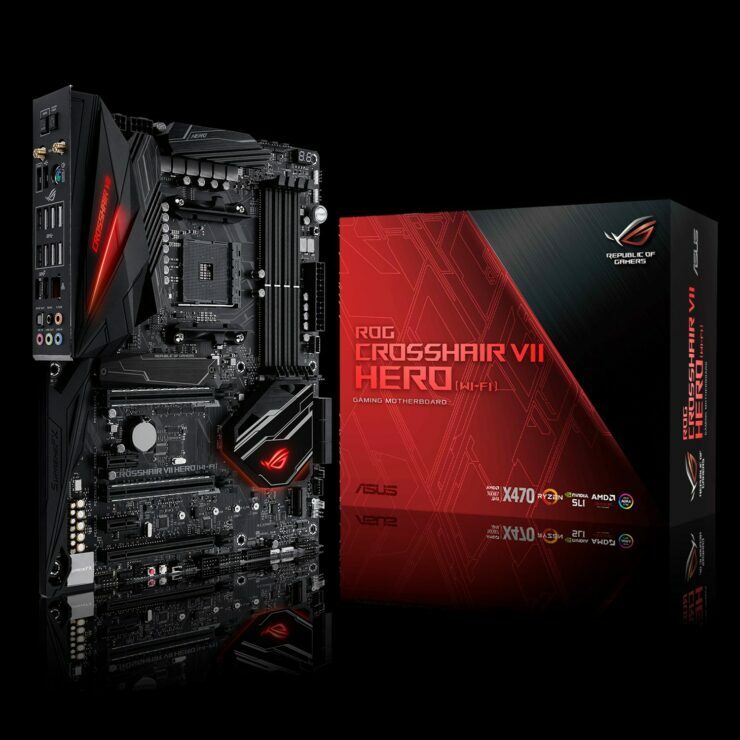 Their flagship motherboard is without a doubt the ASUS ROG Crosshair VII HERO (Wi-FI) which also comes in Wi-Fi free flavor. 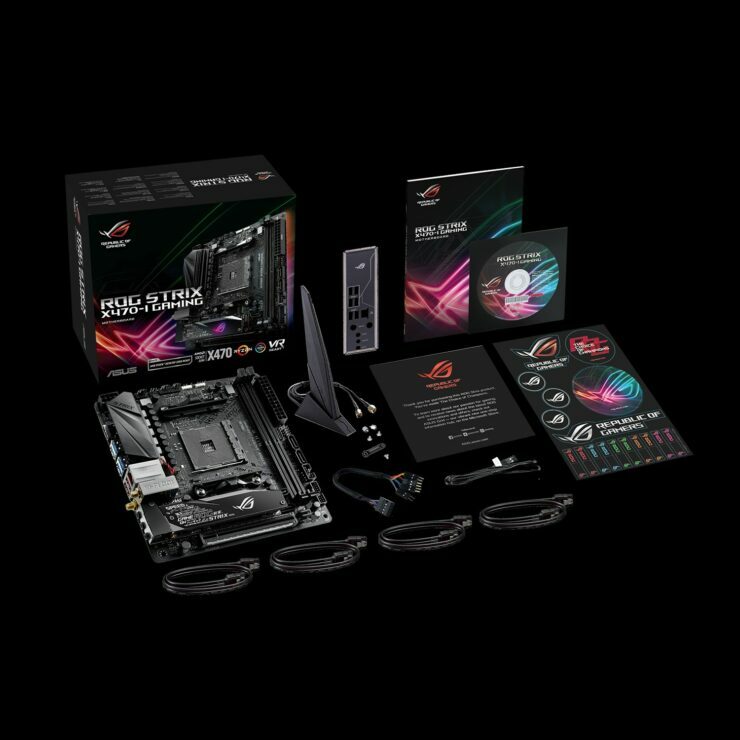 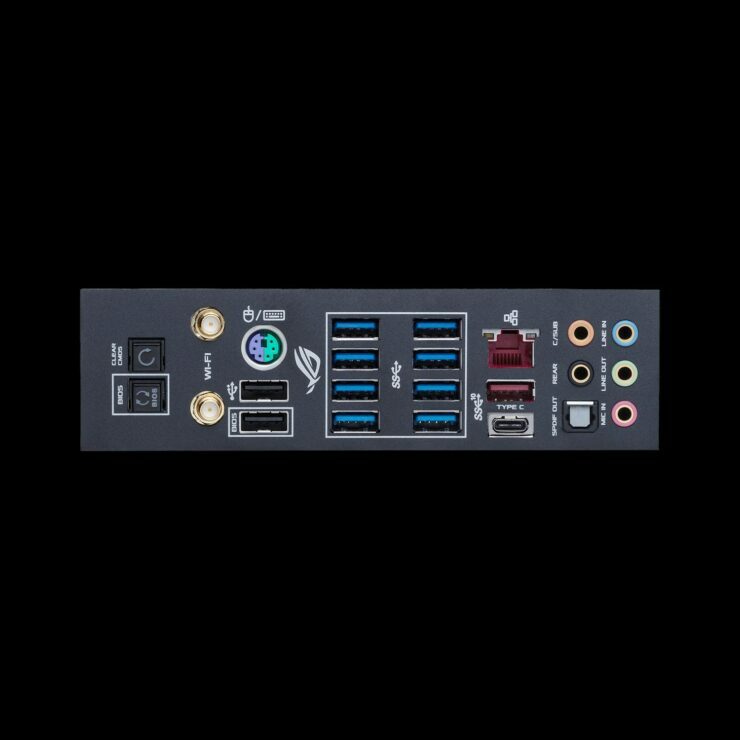 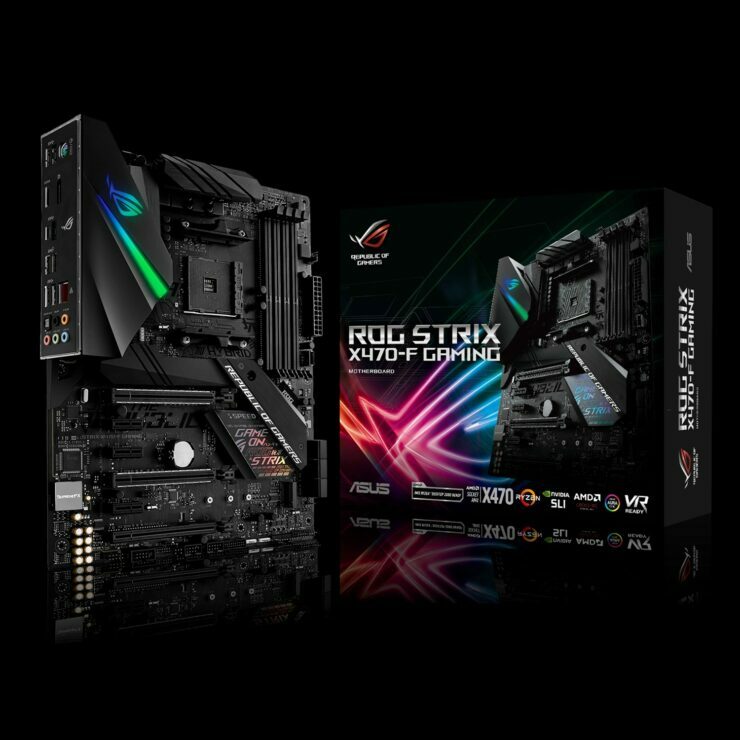 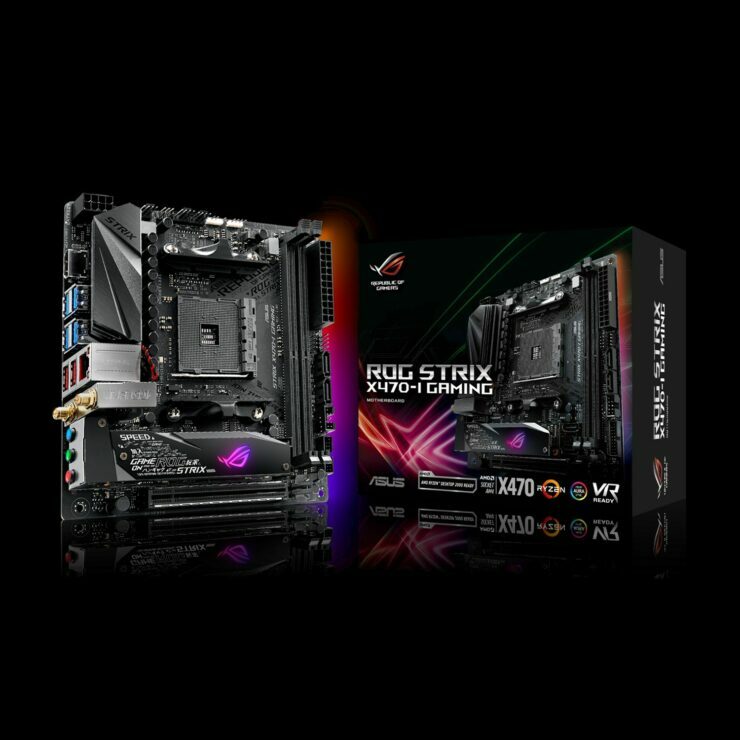 Other models include the ASUS ROG STRIX X470-F Gaming, PRIME X470-PRO, TUF X470-Plus and the ROG STRIX X470-I Mini-ITX. 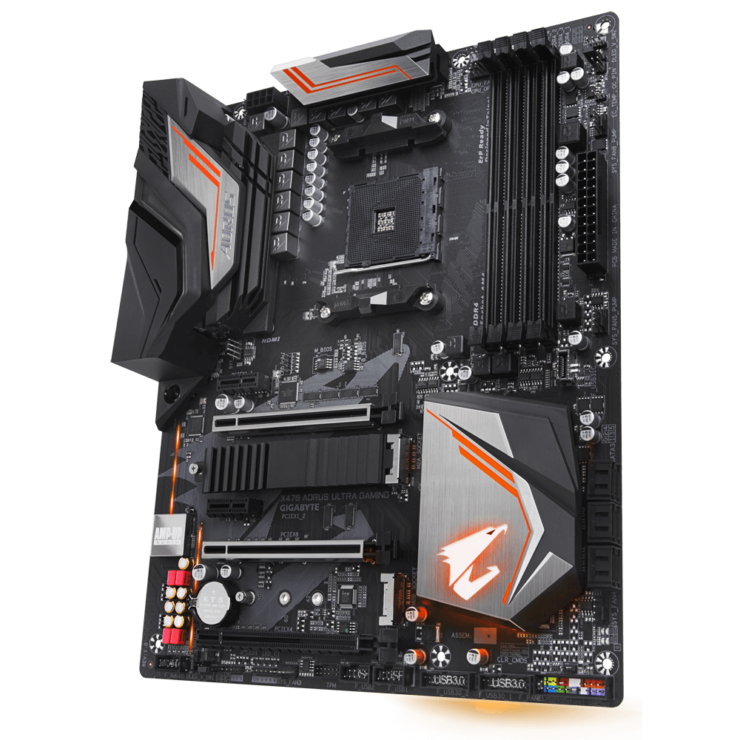 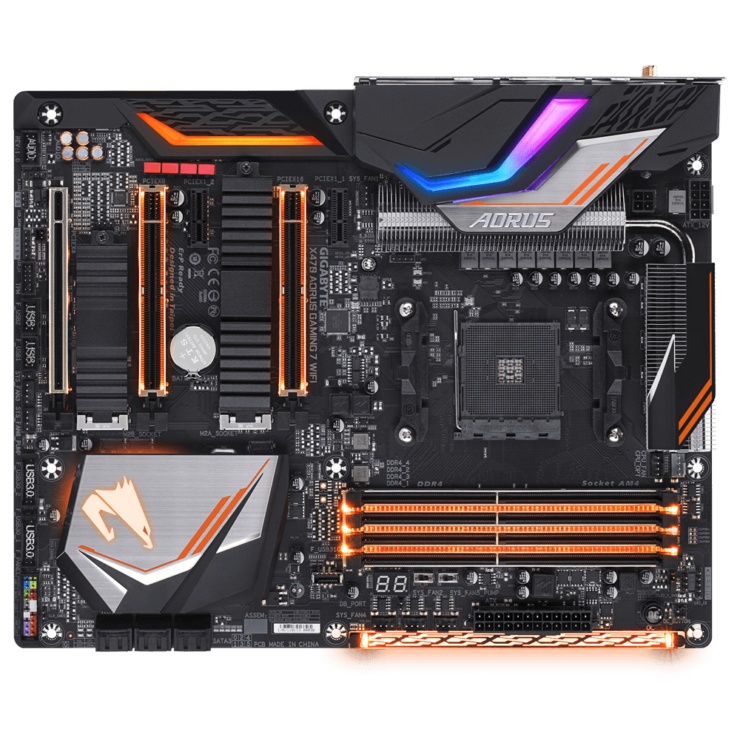 AORUS, the sister gaming brand of Gigabyte is readying three motherboards based on AMD’s X470 chipset. 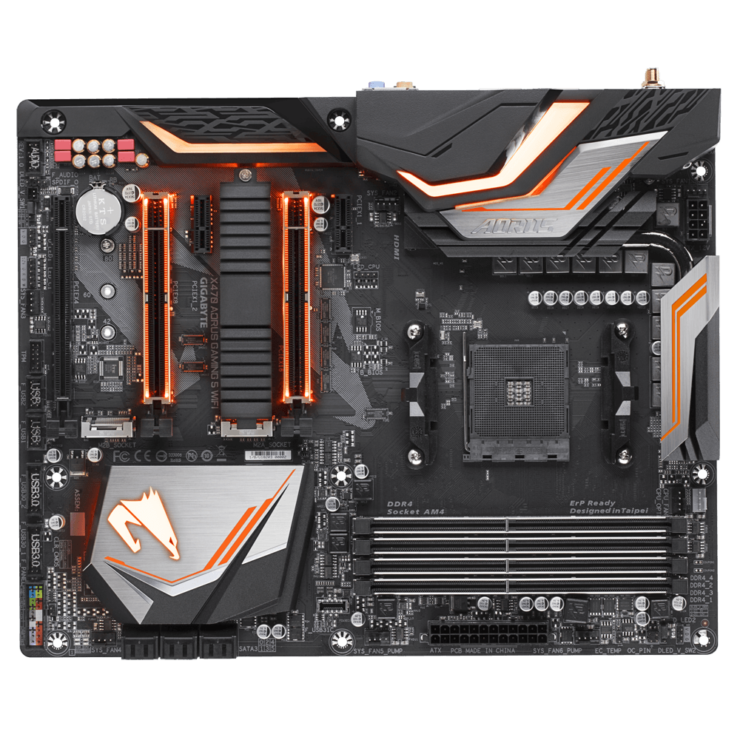 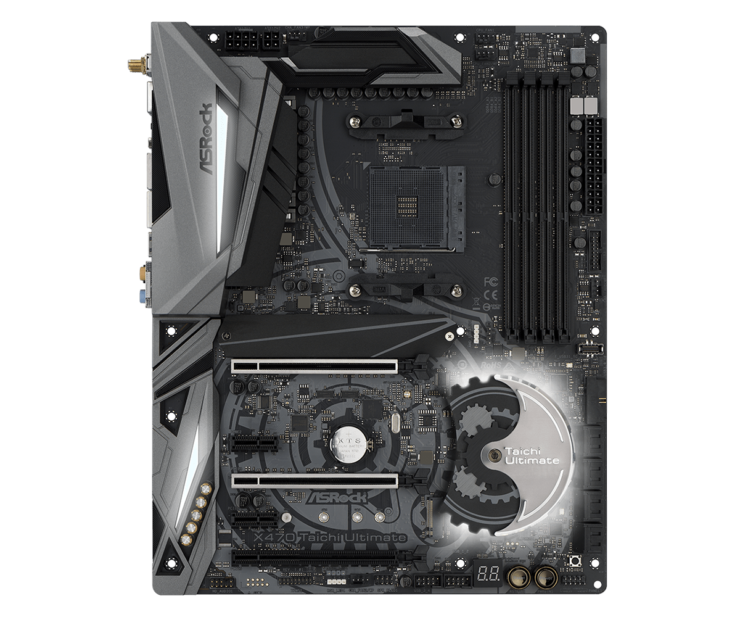 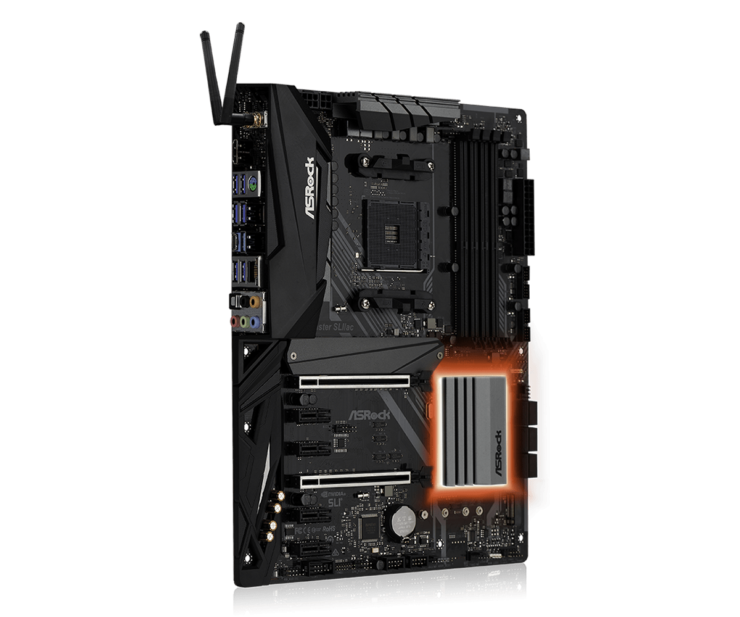 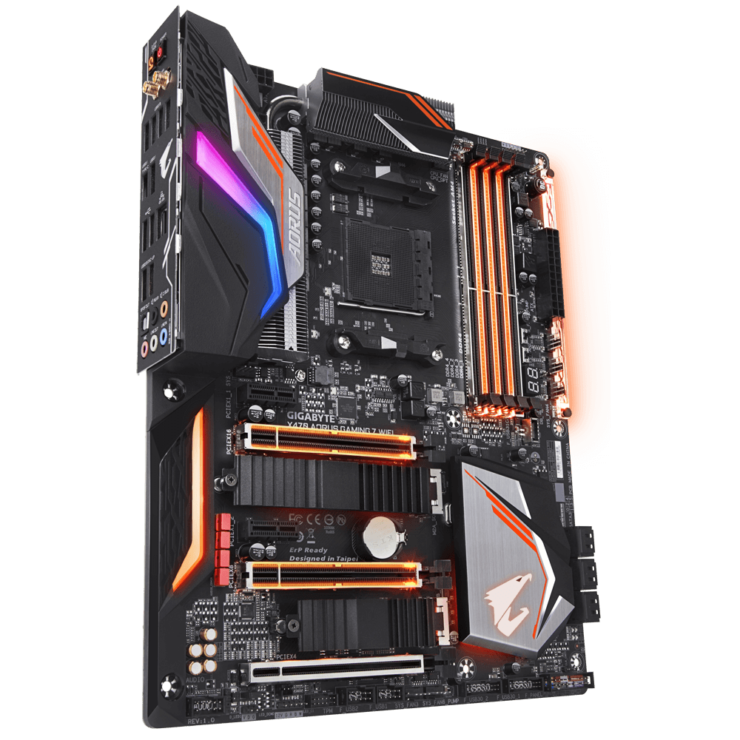 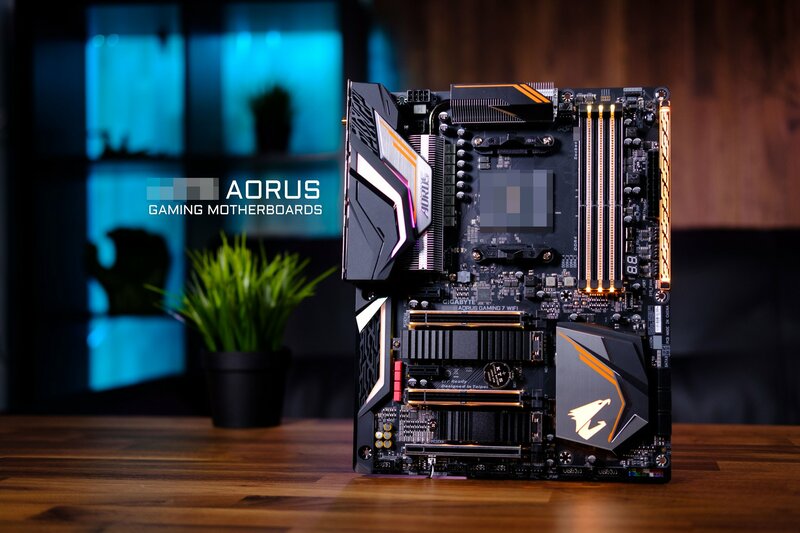 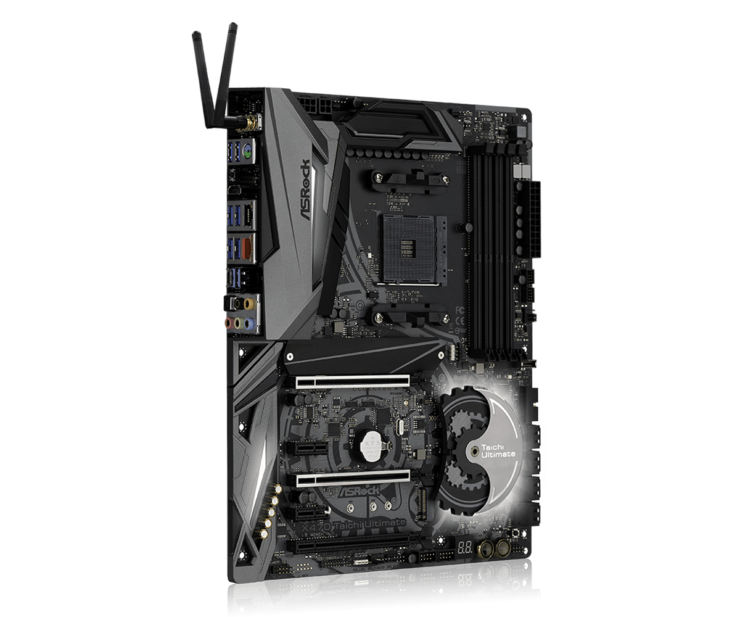 AORUS was the first motherboard manufacturer to officially showcase their new X470 PCH design at CES, earlier this year. 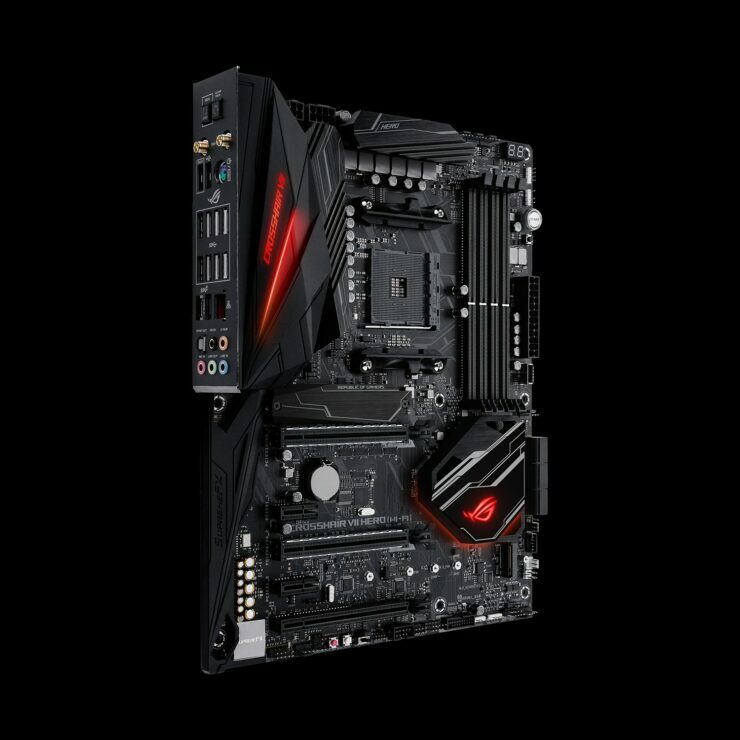 Their lineup includes a massive design change and use of fin-based cooling for better performance. 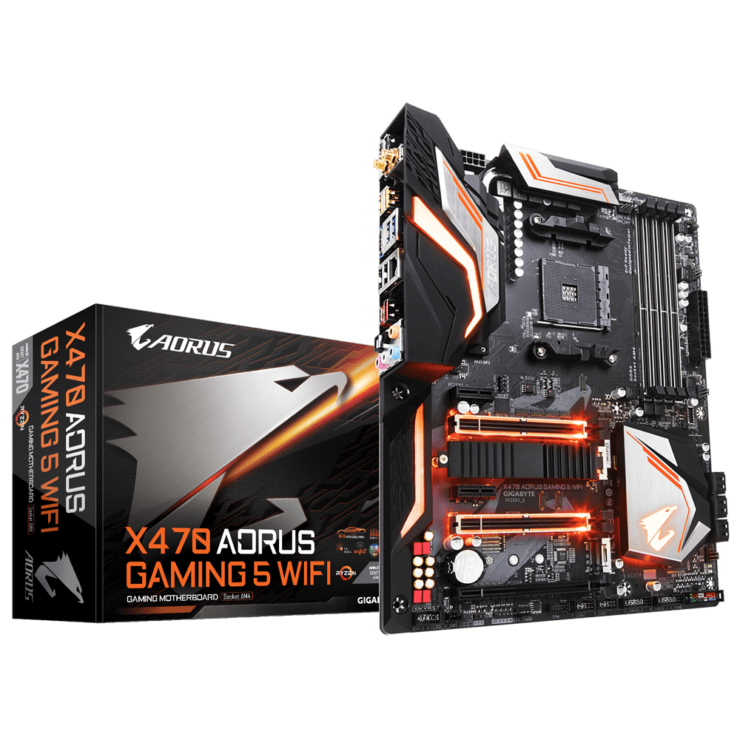 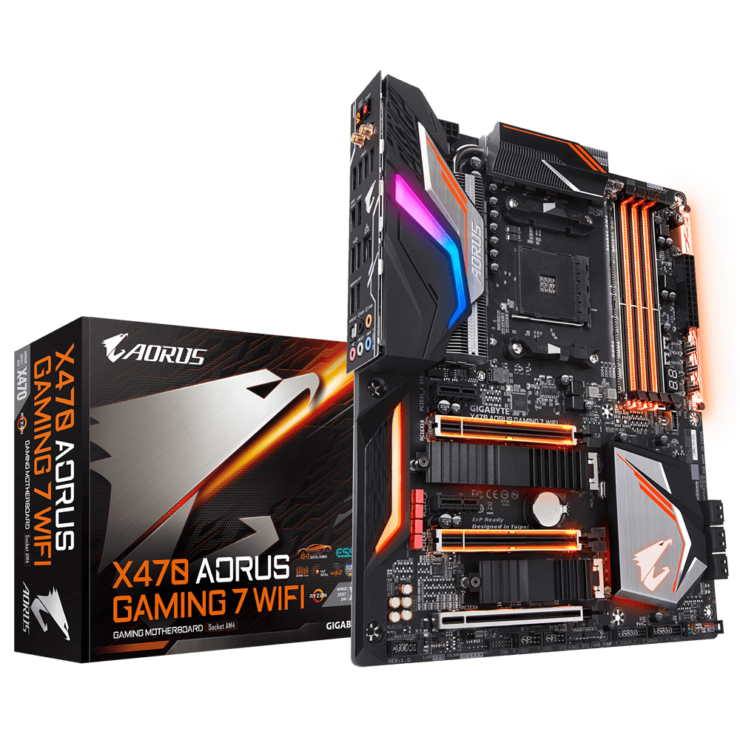 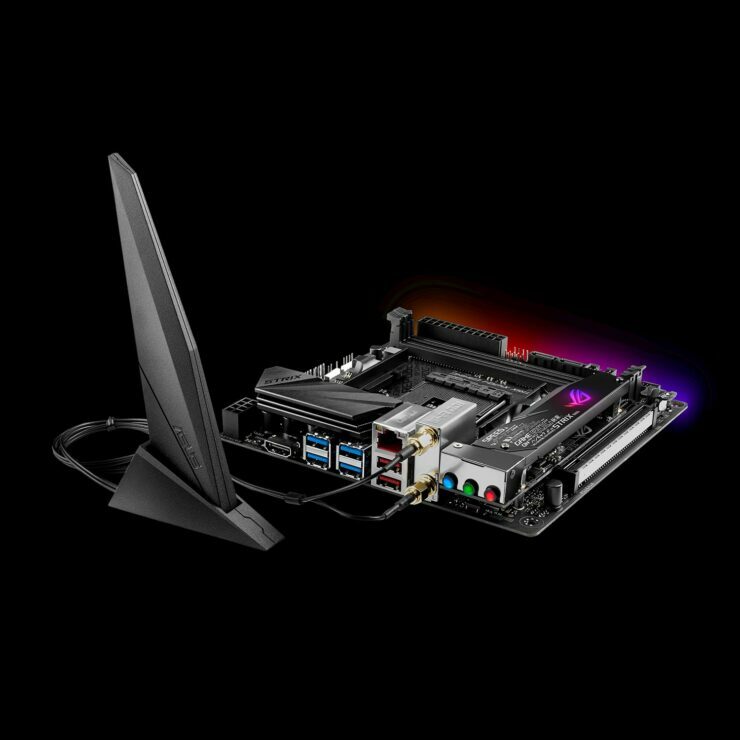 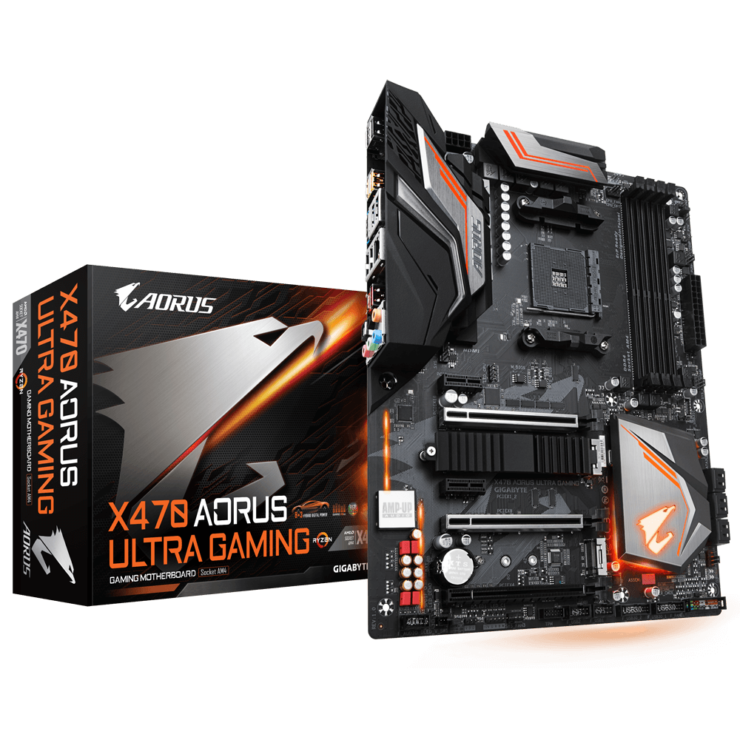 Products include the flagship AORUS X470 Gaming 7 WiFi, AORUS X470 Gaming 5 WiFI and the AORUS X470 Ultra Gaming. 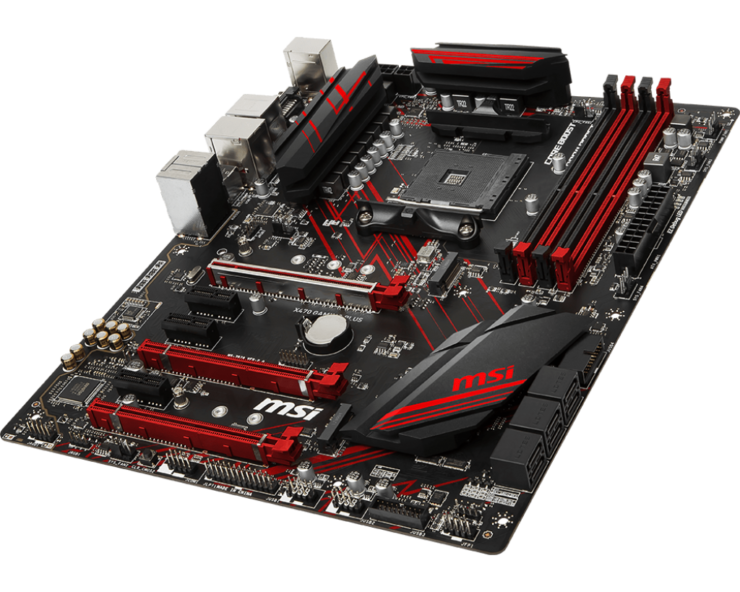 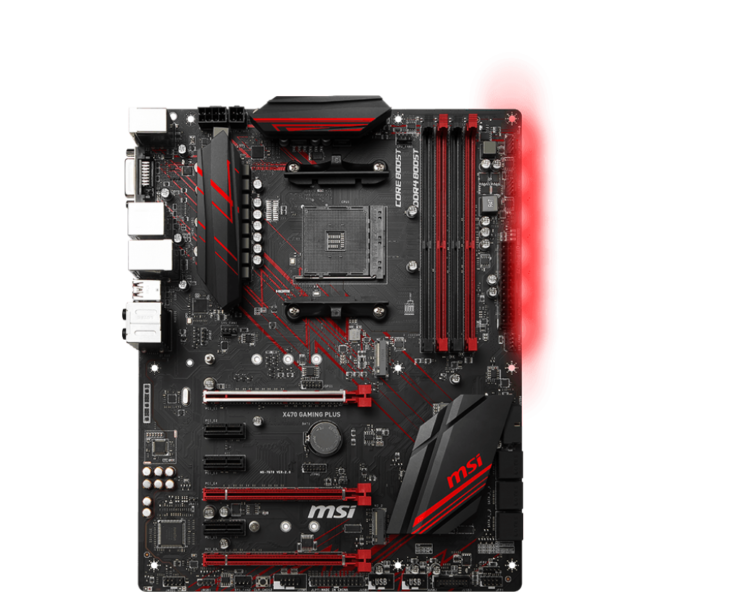 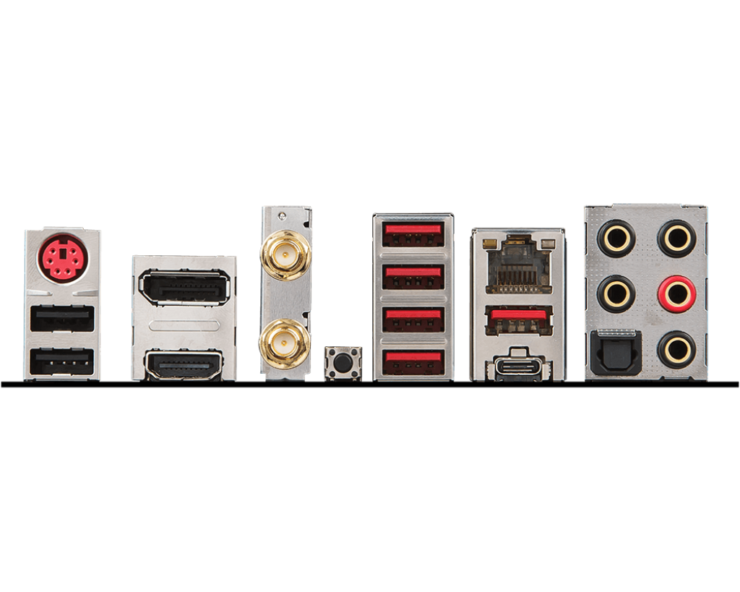 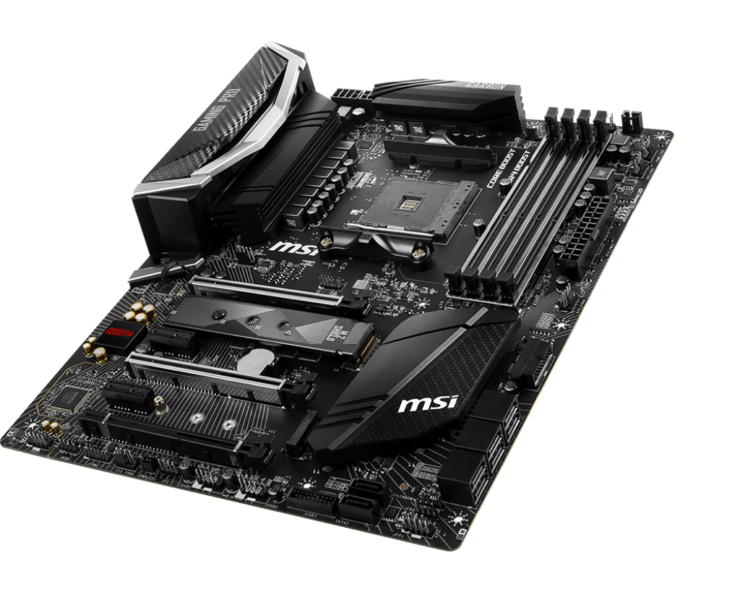 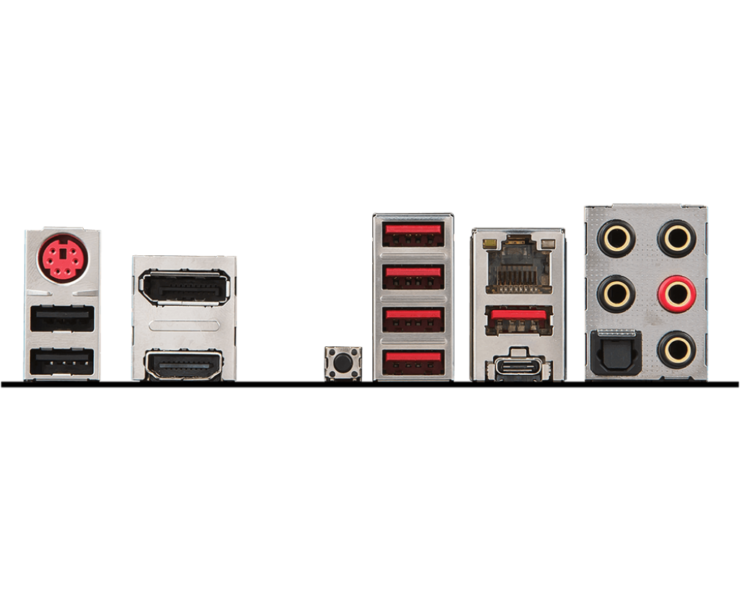 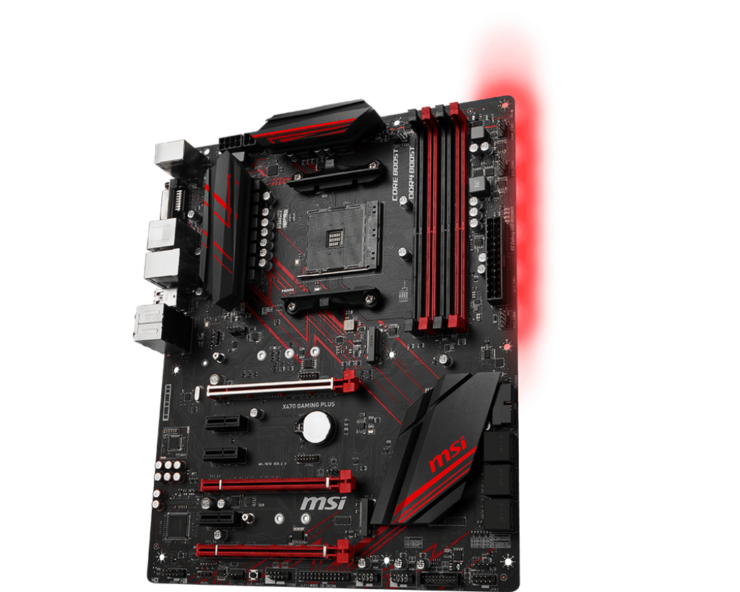 MSI is preparing four new motherboards for their X470 launch lineup. 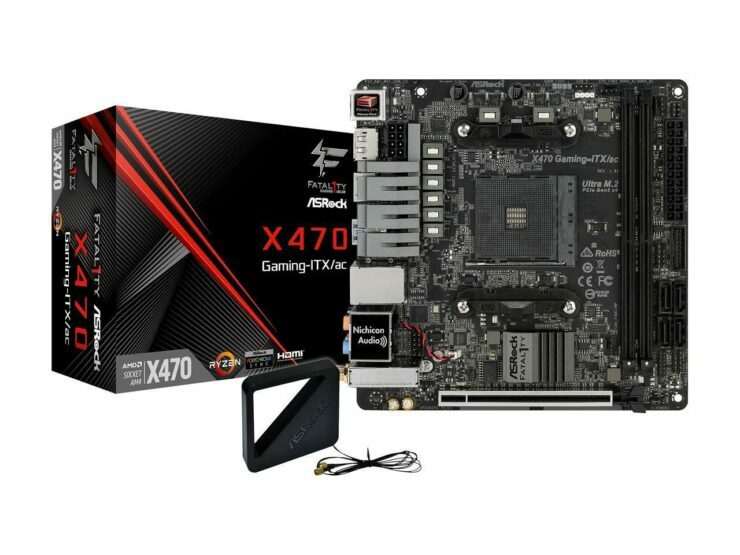 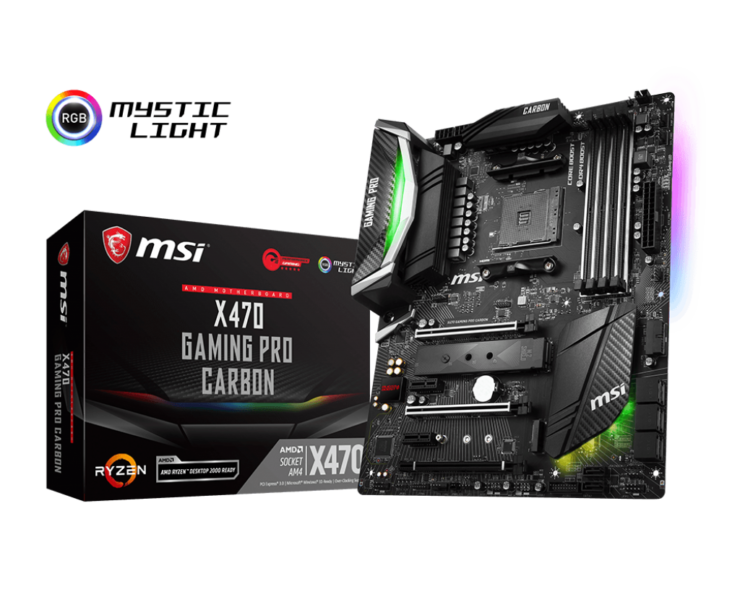 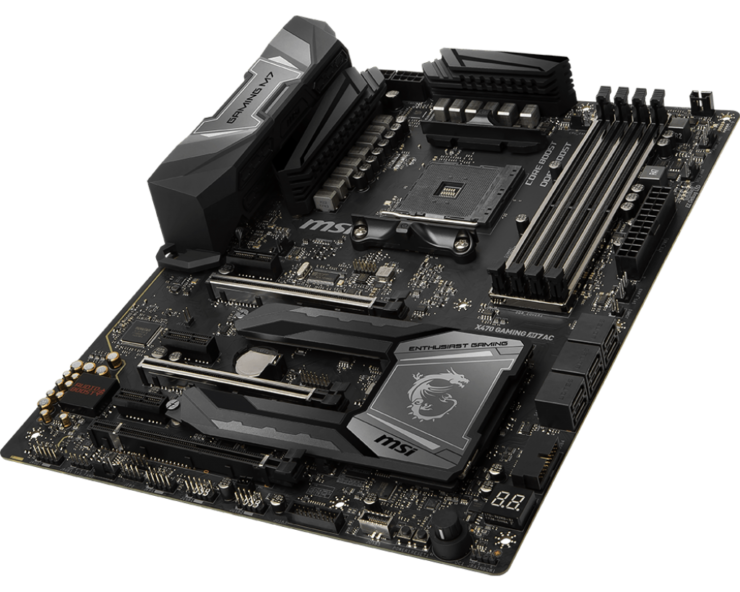 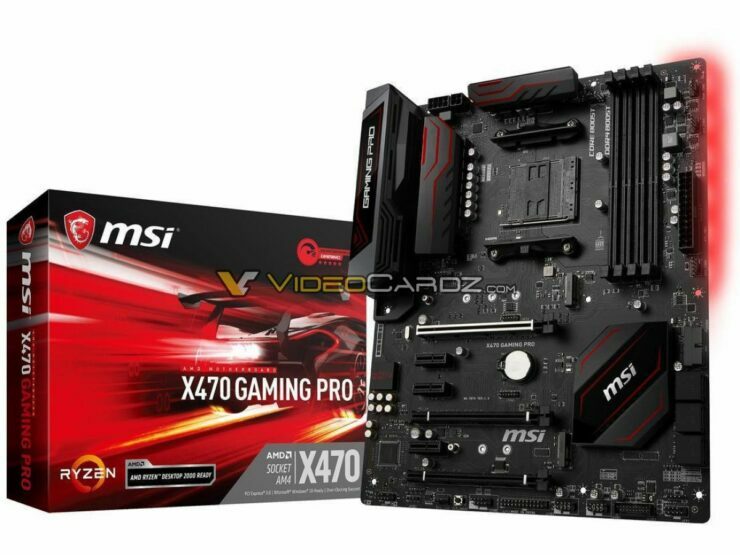 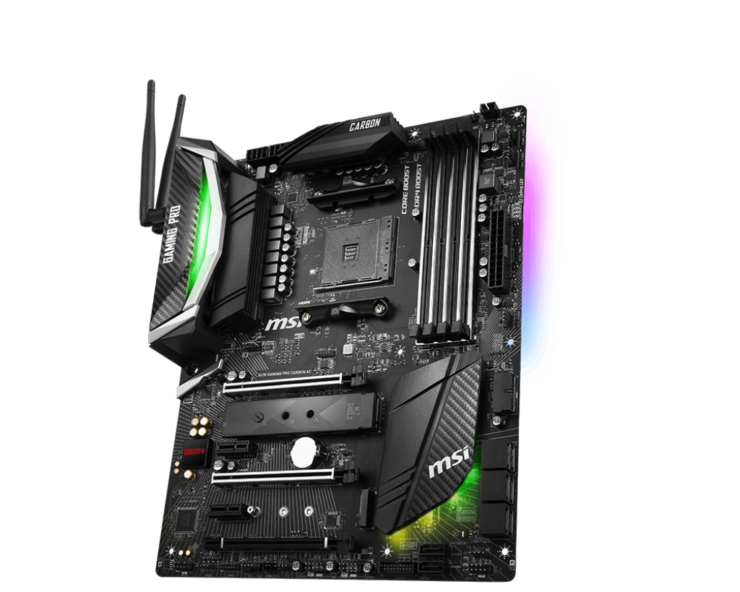 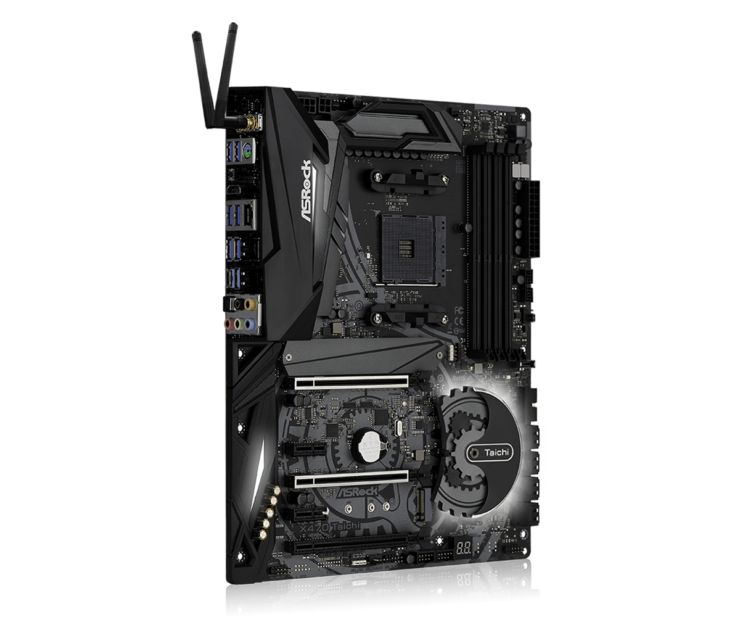 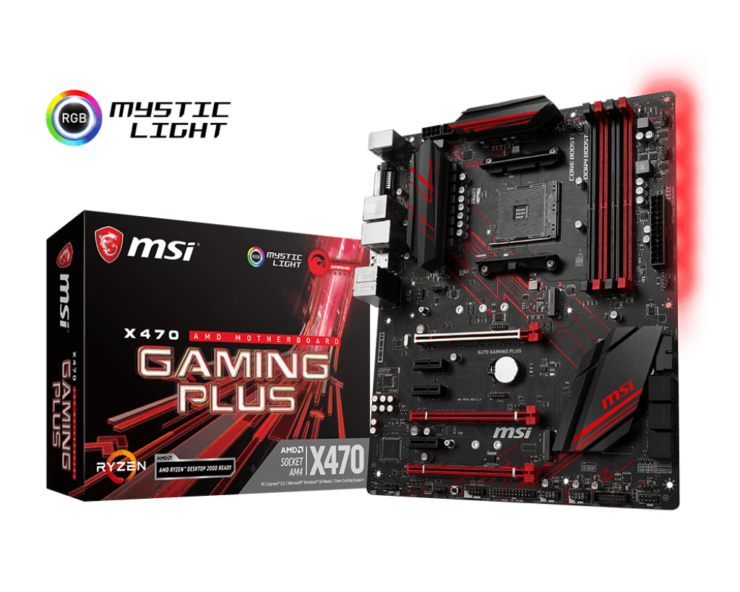 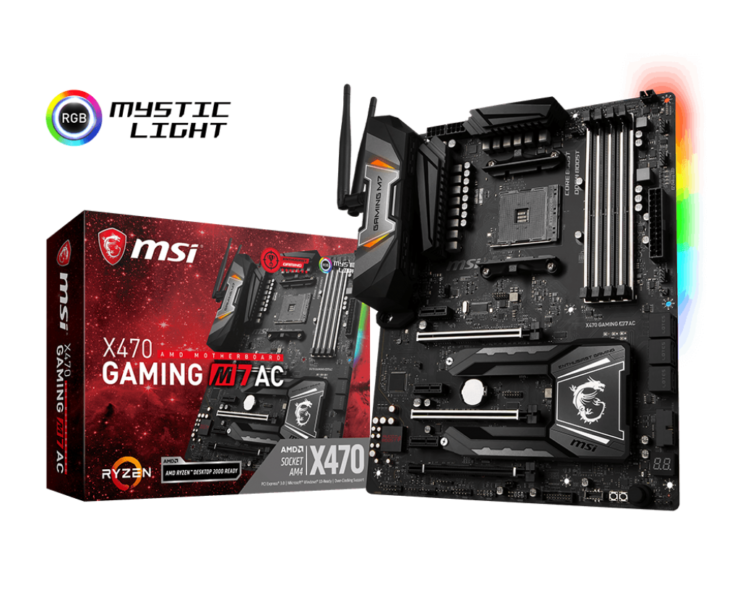 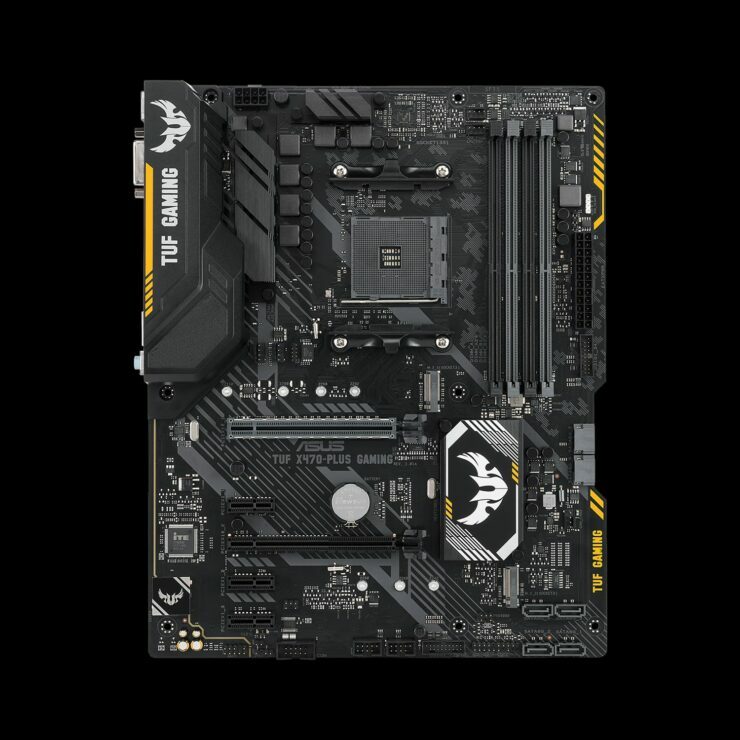 Their top of the line X470 Gaming M7 AC will be available to gamers along with the X470 Gaming Pro Carbon, X470 Gaming Pro and the X470 Gaming Plus. 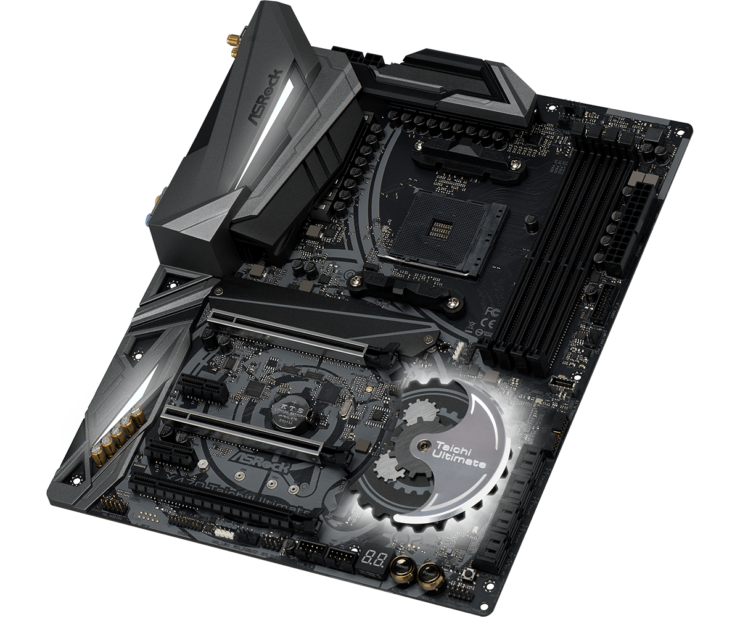 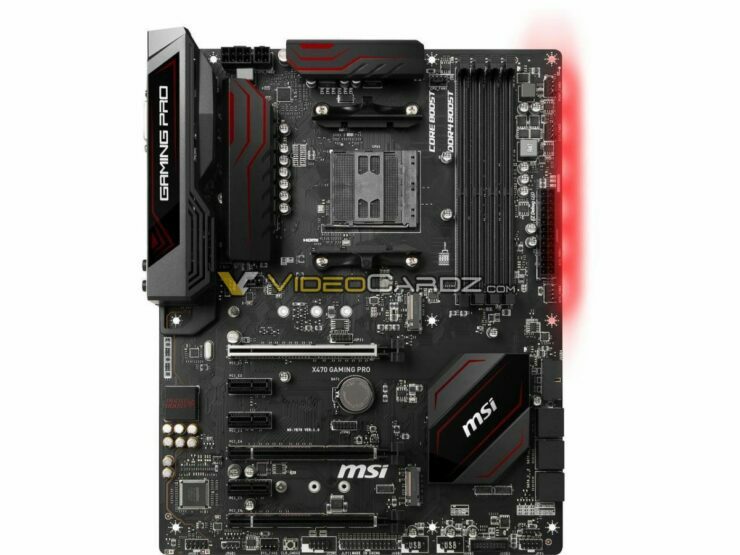 Biostar has been preparing high-end AM4 socketed motherboards since the launch of Ryzen and this year, they have shown two X470 designs. 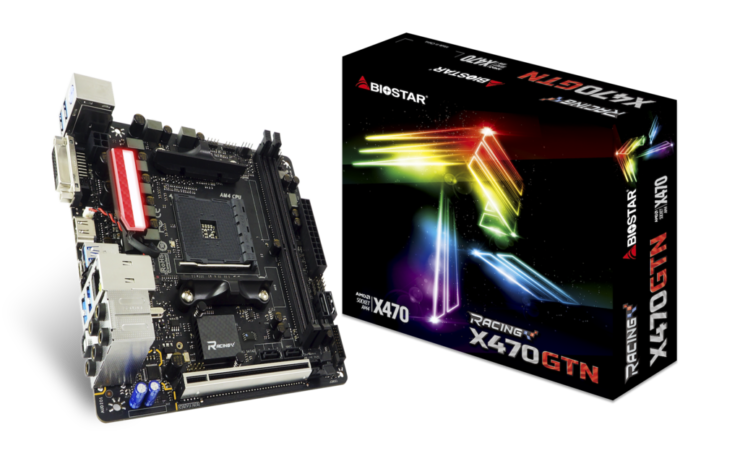 One is a full-fledged high-end motherboard as the X470GT8 while the other is a MIni-ITX design known as X470GTN. 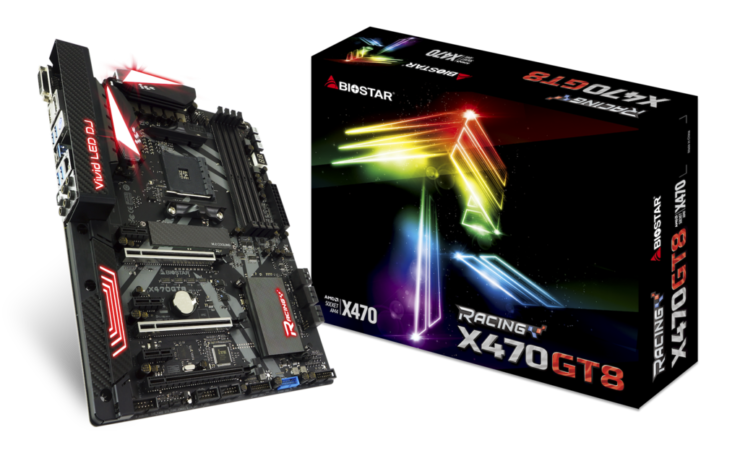 More X470 motherboards may be introduced by Biostar in the future. 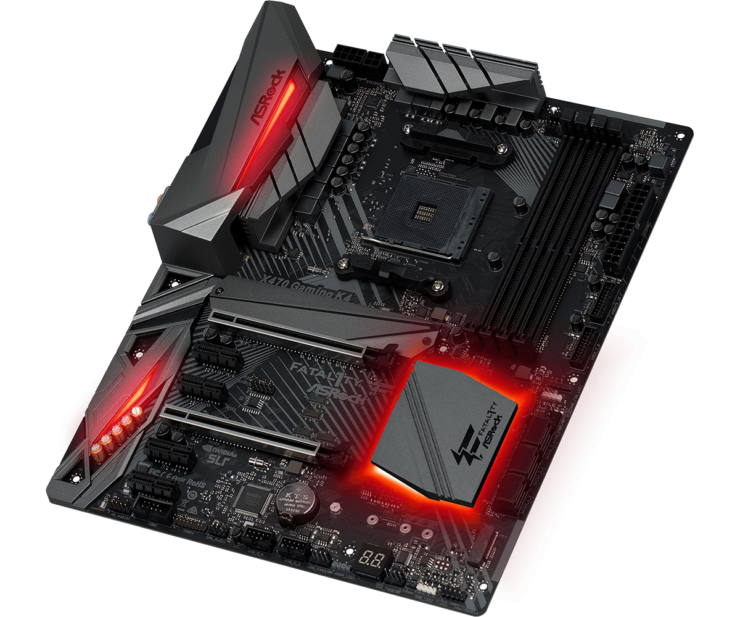 The AMD Ryzen processors are now officially available for pre-orders while the reviews will be ready in the coming week. 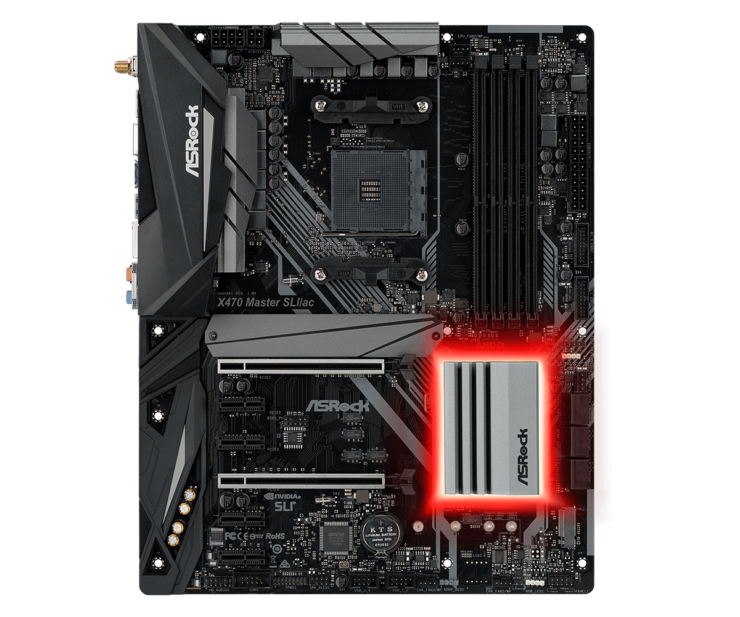 We will be testing out the AMD Ryzen 7 2700 CPU with ASUS’s ROG Crosshair VII HERO WIFI and ASRock’s X470 Taichi Ultimate motherboards. 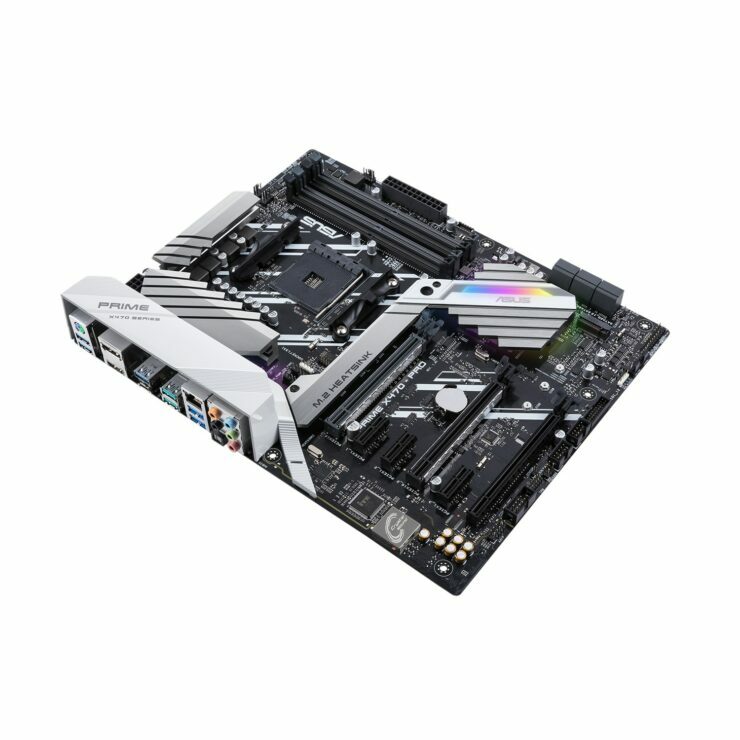 Which X470 Motherboard Lineup would you prefer?